This issue begins a new format that has been months in the making. Click on any image to open a bigger version in a new tab. Ctrl+w will close the new tab and return you to your Carfree Times tab. Grain is only dried in the squares during a few weeks following the harvest. Partis are used for many purposes, including storage. Children often play in their local parti. 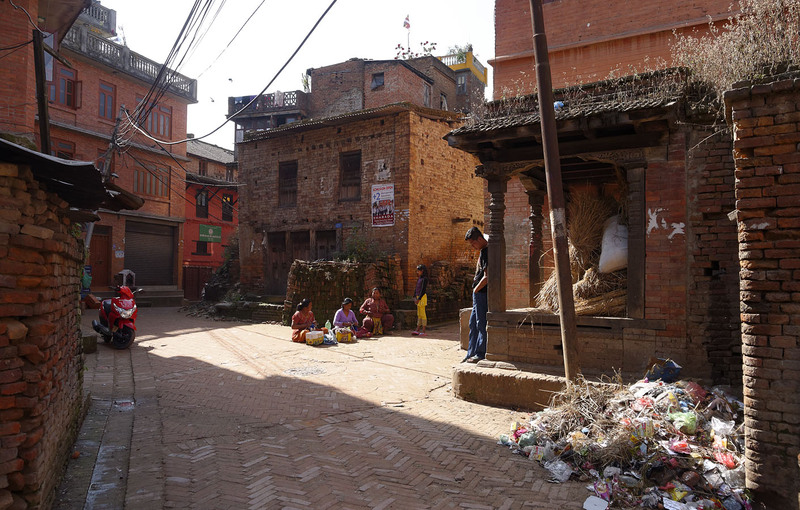 In spite of nearby trash, people gather in a small square. 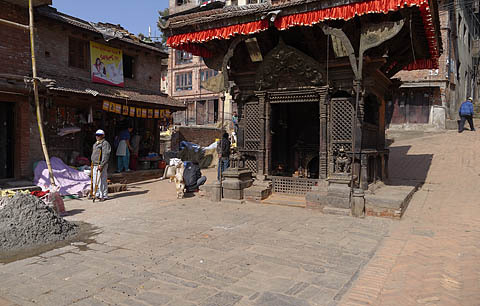 Many small squares are the site of a prominent temple. 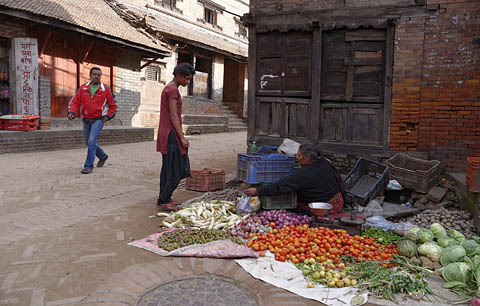 Farmers often sell their produce in the street. The squares change throughout the day as the light changes. 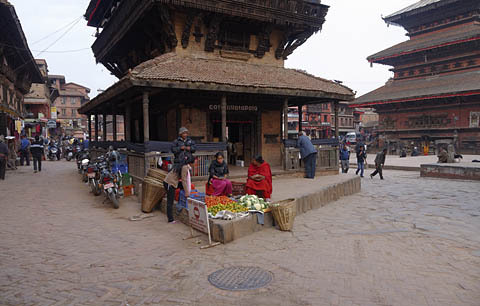 This square is an important local marketplace. Increasingly, squares in Bhaktapur are used as motorcycle parking areas. 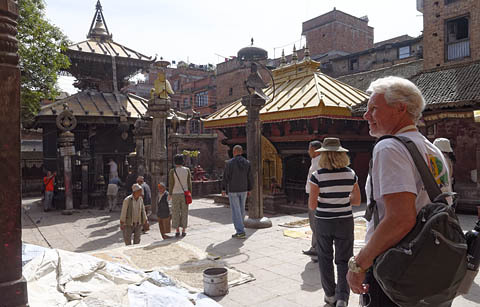 People often stop to chat in the local square. 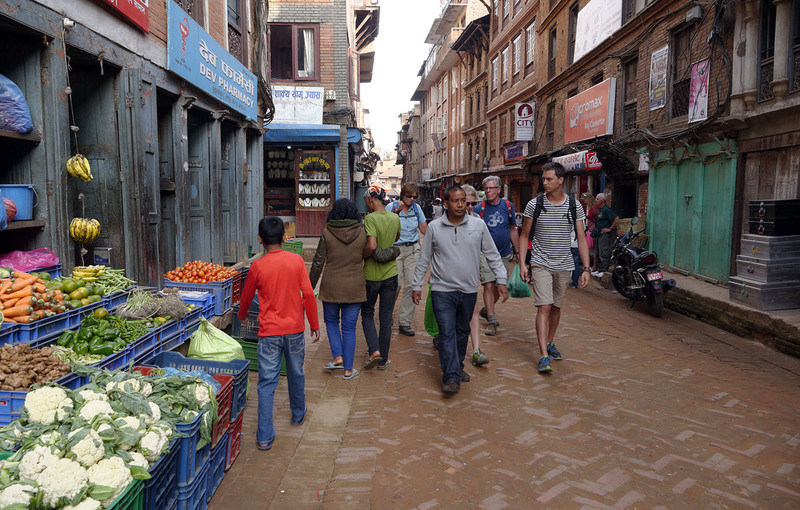 Despite the intrusion of motorcycles in Bhaktapur, walking is still the principal mode of transport. The importance of bicycles is declining as motorcycle use increases. Here, just two motor vehicles are blocking the free flow of pedestrians. 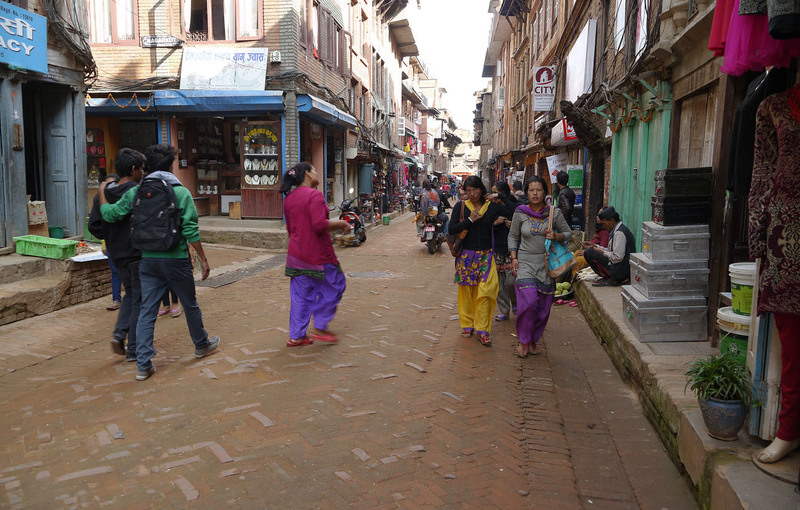 The main street in Bhaktapur is now significantly impacted by motorcycles. 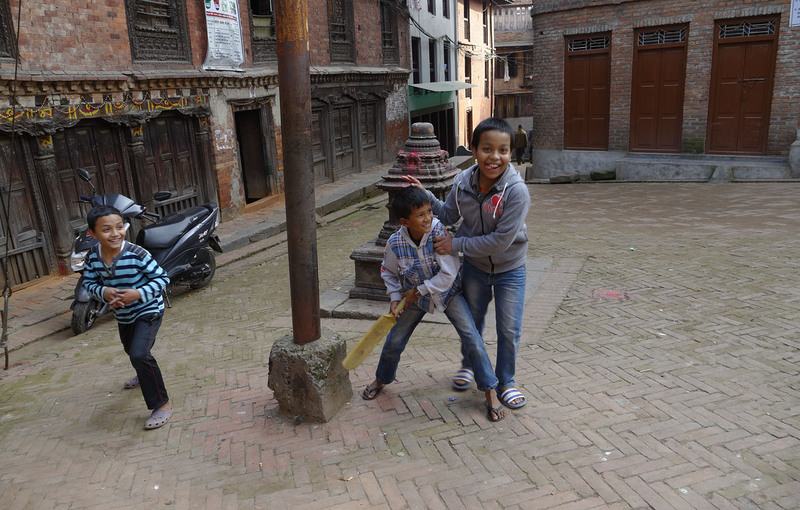 Schoolboys passing through Dattatraya Square on the way home. Their path has been narrowed by parked motorcycles. 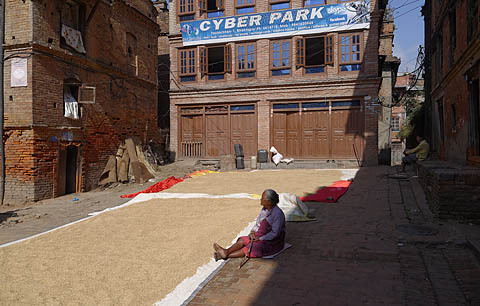 Market stalls emerge in the morning and disappear at the end of each day. Highly productive agriculture adjacent to Bhaktapur provides much of the city's food. Squares are sometimes the site of quite large meetings. 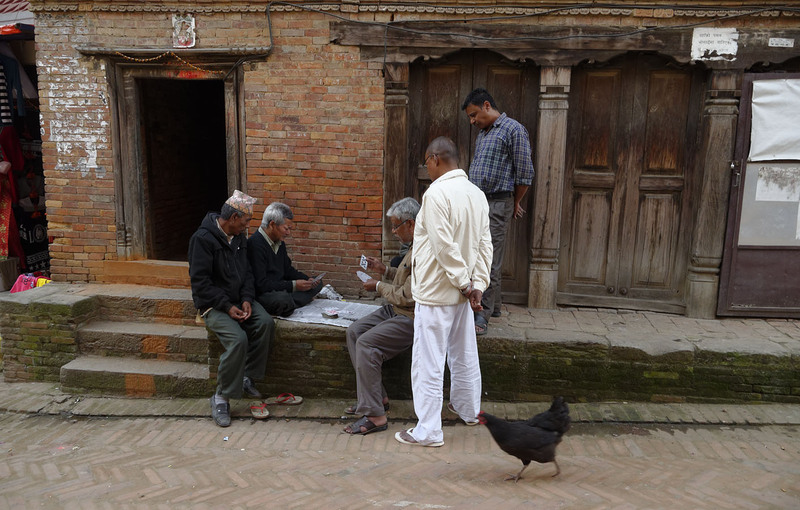 Once the crops are in, the men of Bhaktapur play cards and board games in the street, square, or parti. 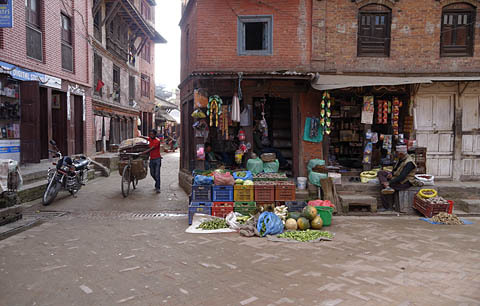 All basic necessities are sold in local shops, many of them on small squares. J.H. Crawford has long advocated the inclusion of interior courtyards in the center of every block. 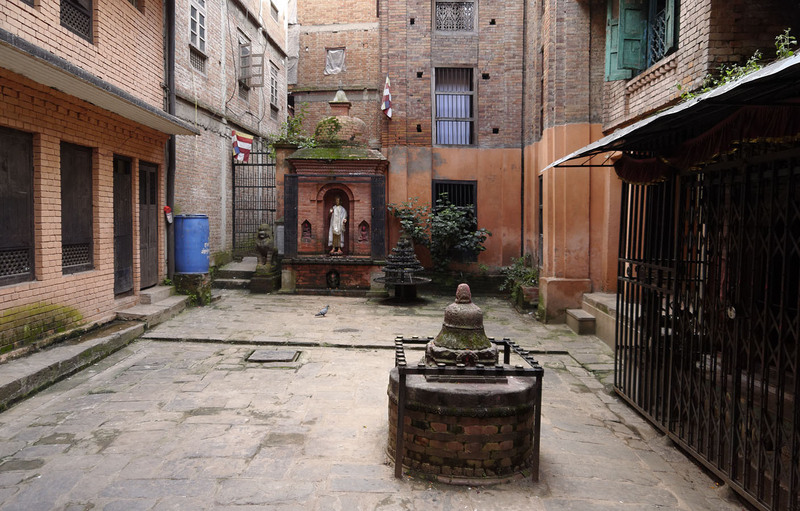 The courtyards of Bhaktapur are not so numerous as would be ideal, and many of them are not as large as would be best, but they still have a large, favorable impact on the livability of the city. They provide greatly increased sun and ventilation to the surrounding buildings and offer useful space as well. Perhaps the best case would be if they were devoted mainly to greenery, but almost any use is an improvement on no courtyard. Many interior courtyards are the site of a temple. Many interior courtyards in Bhaktapur also provide a pedestrian shortcut. Courtyards that are home to a temple are usually well kept. The courtyard is the site of an important temple. The ancient temple does not benefit from the recent black water tank. 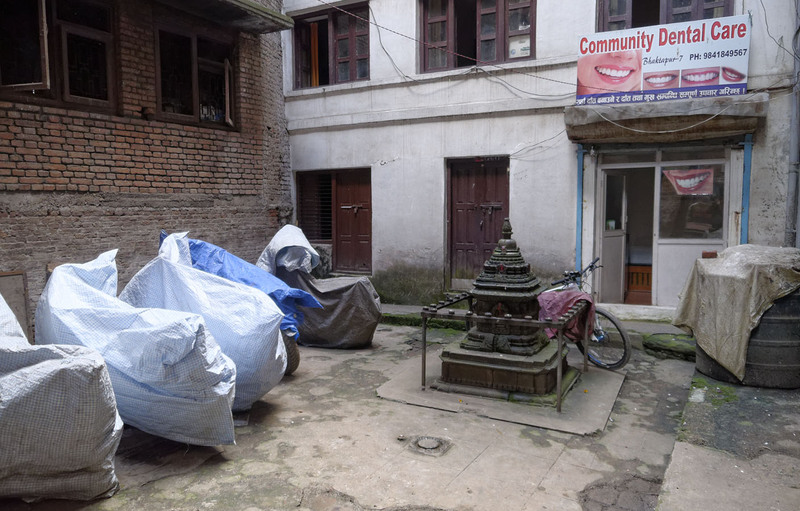 Water tanks and corrugated iron do not help this temple. Technically, this is a square, but it functions more like a courtyard. Ugly plastic water tanks are often placed in courtyards, damaging their appearance. 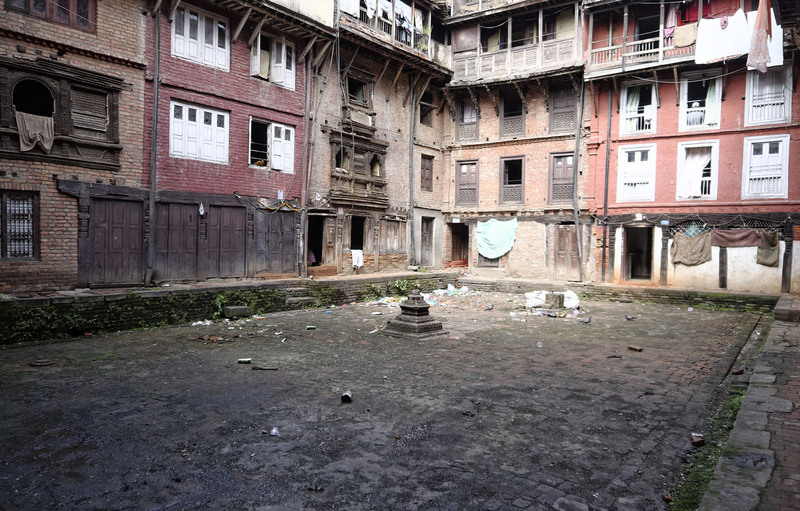 I would not be eager to have this courtyard next to my house. 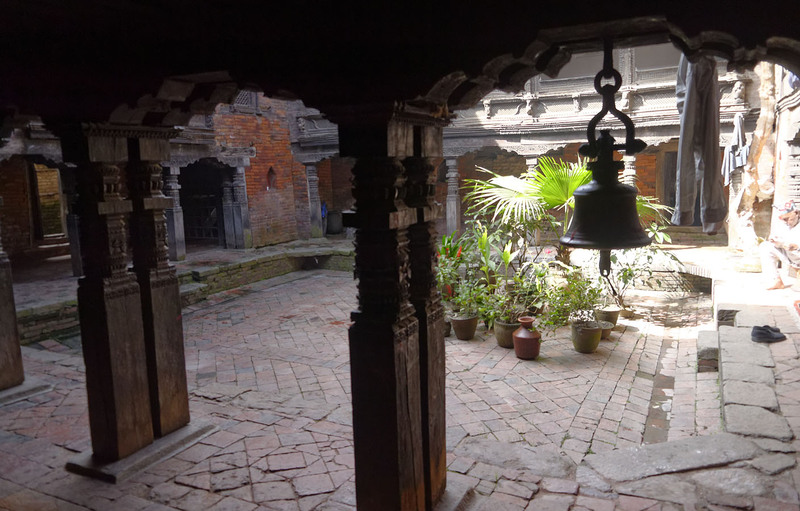 Not all courtyards are well maintained. If the ownership structure of a courtyard is wrong, nobody feels responsible for it. Courtyards are increasingly used as motorcycle parking lots. 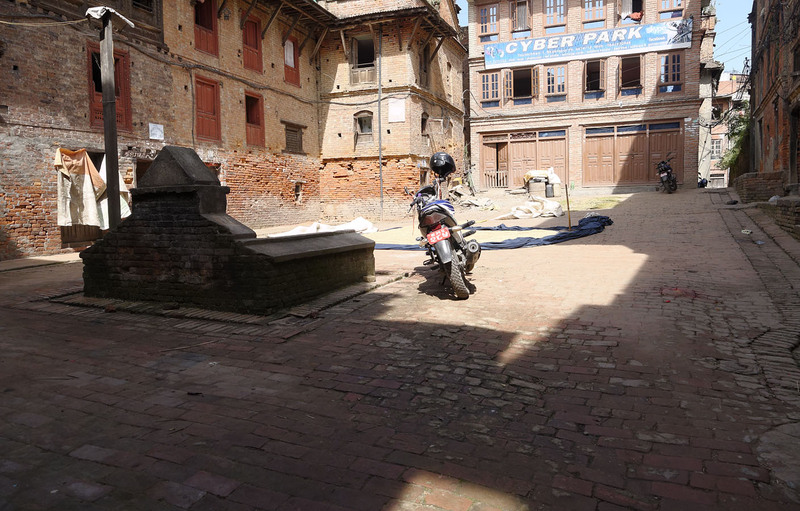 If everyone buys a motorcycle, courtyards will become mostly parking lots. This is what happens when the parking lot function becomes dominant. 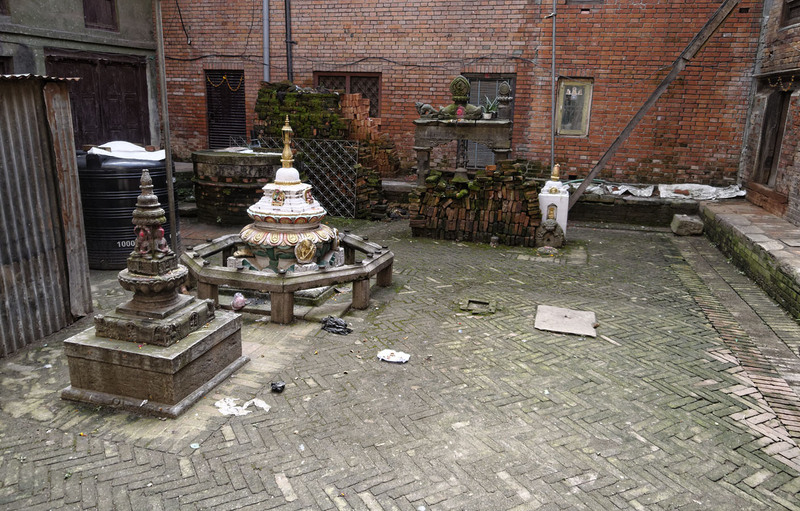 This courtyard is actually supposed to be a small pond. J.H. 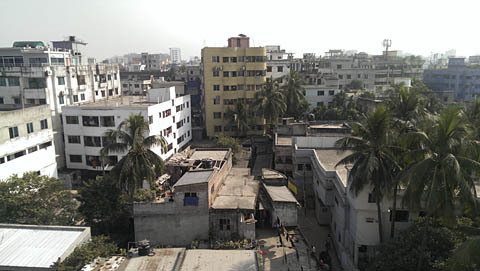 Crawford visited Dhaka, Bangladesh, in November of this year. These are some of his photos from this enormous city. One final view from the WBB Building shows how the city is emerging as a mid-rise, high density urban settlement. Off the main roads, the rickshaw is the most common form of transport after simply walking. This was a Friday (holy day); any other day of the week would have seen many more people in the street. 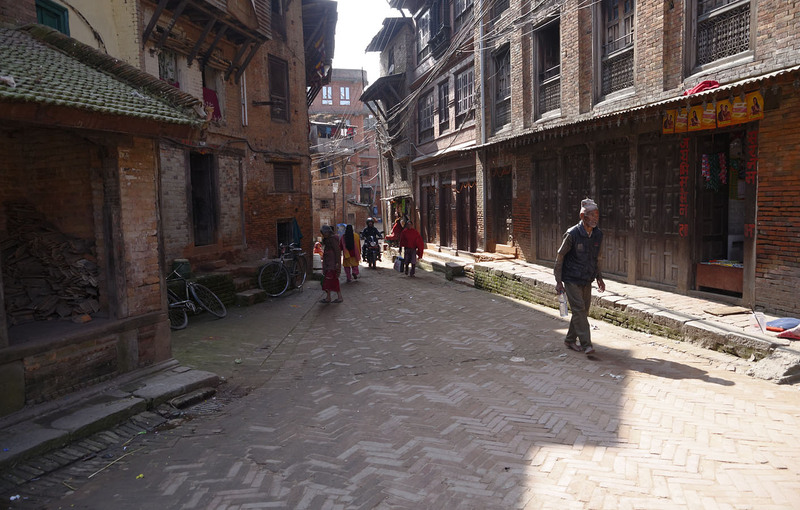 As long as there are no motor vehicles, the narrow streets are quite wide enough. Specialized freight rickshaws are used to move quite large amounts of freight. It sometimes takes several men to push them. This is a major wholesale produce market on the riverfront, crammed with porters and vendors. These small boats are used routinely to cross the river. 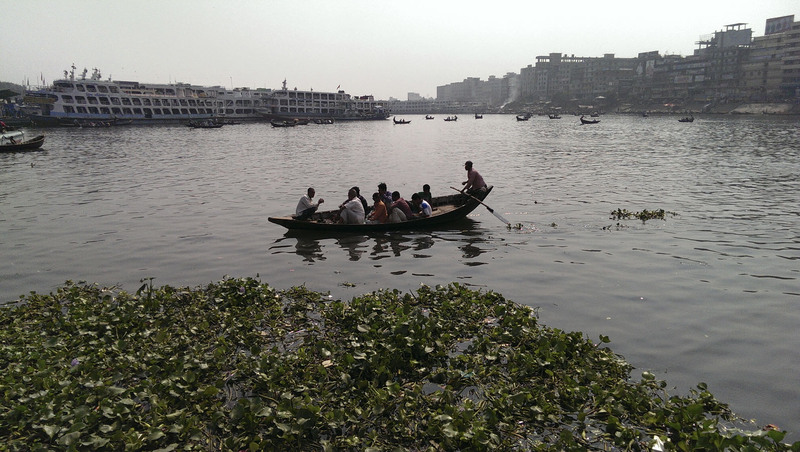 There are many large river steamers in addition to the rowboats. 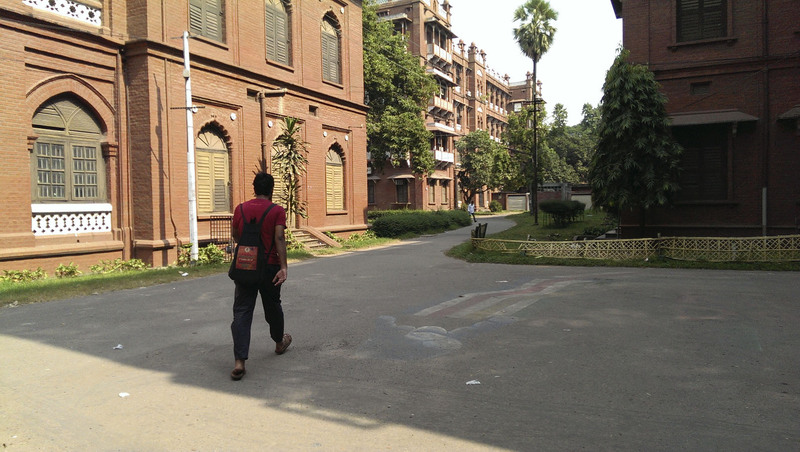 For good reason, making the campus of the University of Dhaka carfree is under consideration. 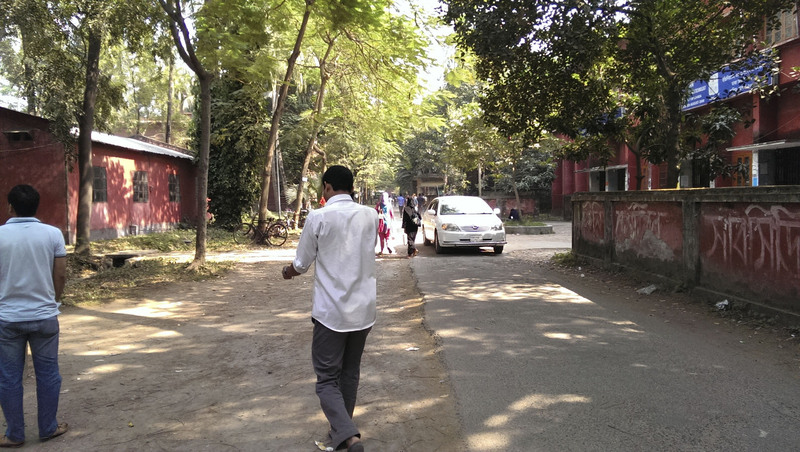 Paths at the University of Dhaka simply are not wide enough for cars and pedestrians. This issue, #76, marks the introduction of a new format for Carfree Times, the first major update in its 17-year history. After considerable thought and discussion, we moved to a two-column layout. The issue's photo essay(s) will run in the left column, and the text will run in the right with any in-line images directly related to the text. The News Bits are now categorized, and links to the categories and Feature Articles are at the top of the left-hand column. If you have comments or problems, please send mail. J.H. 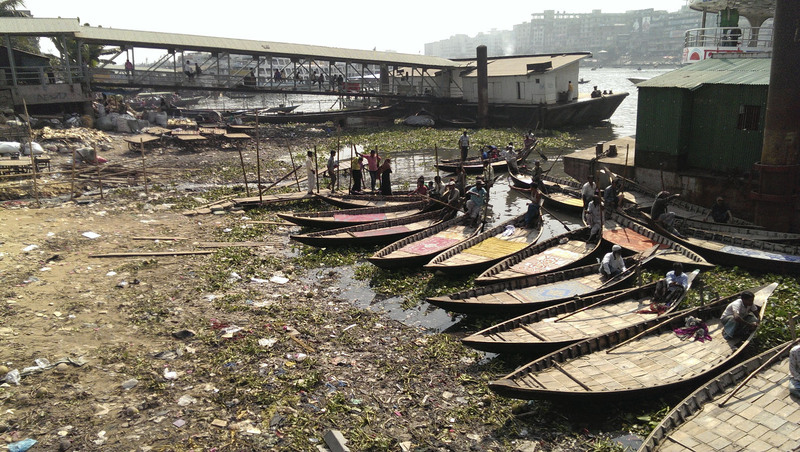 Crawford visited the staff of Work for a Better Bangladesh in November and gave two presentations in Dhaka. This marks the beginning of our cooperation on issues of mutual concern. The first large project is a long documentary video that will present real solutions to the climate crisis. The script is now under development. Our work together is expected to extend to skill-building meetings and perhaps a new carfree cities conference in early 2016, in cooperation with World Carfree Network. The Carfree page on Facebook has been online for about a year now. We have increased the frequency of posts in the past few months to an average of two or three a day. Drop by some time and don't forget to hit the Like button. The CarfreeCities feed at Twitter has similar content to the Facebook page, but some of you may prefer the Twitter format. "It is without a doubt that the infiltration of nature into the cities adds immeasurably to their livability." 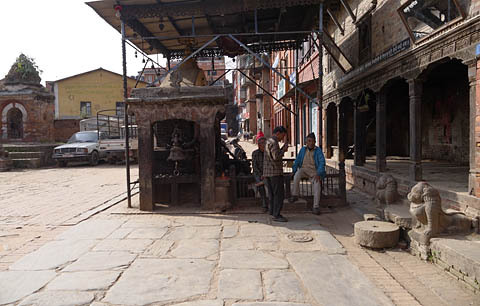 Many villages in Nepal do not have car access, and the roads are mostly for walking, as here in Thecho. J.H. Crawford has never given serious consideration to the prospects for smaller carfree settlements; his focus has always been on cities of at least a few hundred thousand residents. 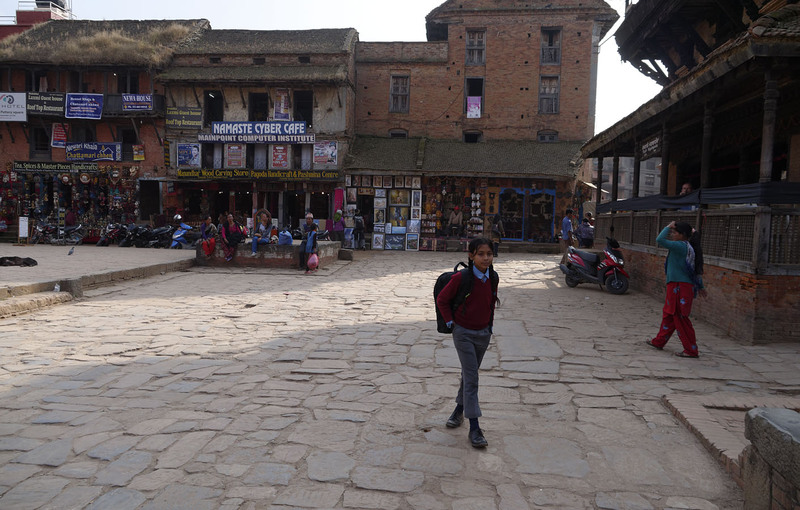 Dristy Shrestha is beginning a study of the need for carfree towns and villages as well as the means to implement them. This article is the first in a series that will delve into this question at length. 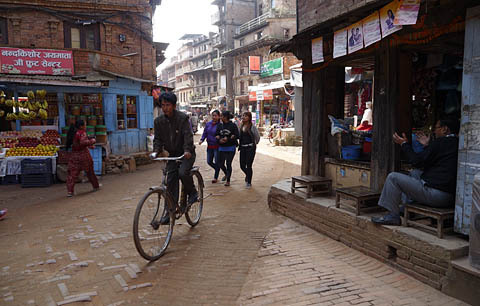 There are many villages in Nepal that are already carfree or have the prospect of developing carfree zones. Village populations in Nepal today are largely either older citizens or children, as many adults migrate to the cities of Nepal or fly abroad in search of employment and education. This migration has been greatly influenced by the way the media now define a successful and happy life, one imbued with the global consumer culture. 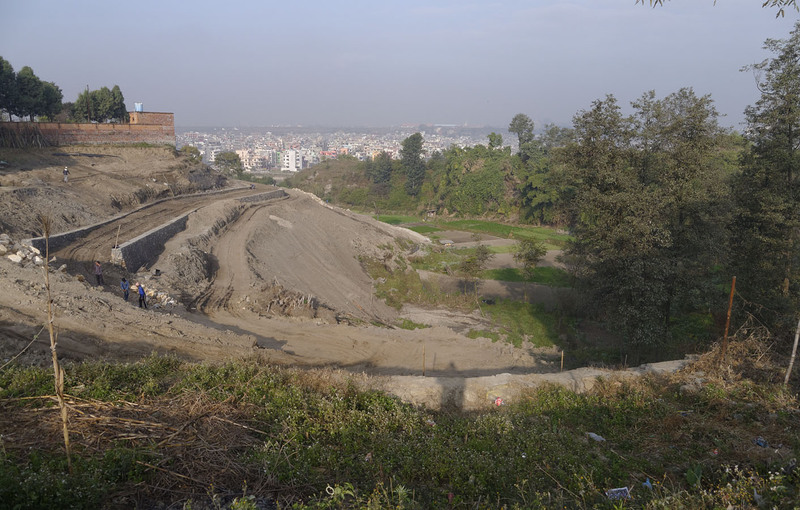 The growth of the Kathmandu Valley during the past 40 years has been extremely rapid and has led to poor conditions in the capital region. 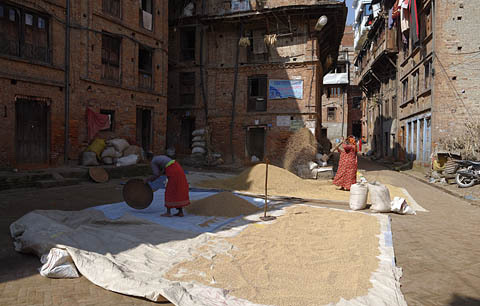 Investment in development is largely driven by economic return and has caused the loss of a bright future for the rural areas, further accelerating urban migration. This in turn gives rise to the poorest city slums, chaotic areas of unplanned and uncontrolled development. With dreams of prosperity unfulfilled in the capital city, people leave the nation to live their dreams, draining the nation of some of its best and brightest young people. There are many villages in Nepal that are today carfree. Their inhabitants, however, do not view that as a desirable condition but rather as a lack of development. Just as the idea of a WiFi-free zone makes no sense to the villages, the concept of a carfree village also makes no sense. As elsewhere in Nepal, the motorcycle and motorscooter are actually much more common than cars and must be considered in most respects as if they were cars. 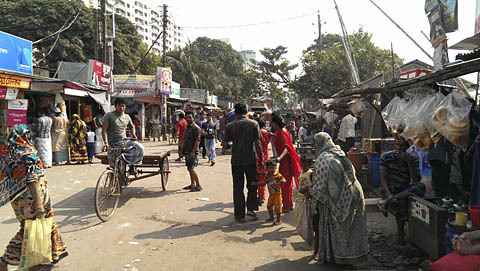 Cars are considered as a normal part of development, and thus little consideration is given to preserving the desirable attributes of the village. Auto-centric development therefore holds sway in villages even though very few villagers can afford cars and not many more can afford motorcycles. 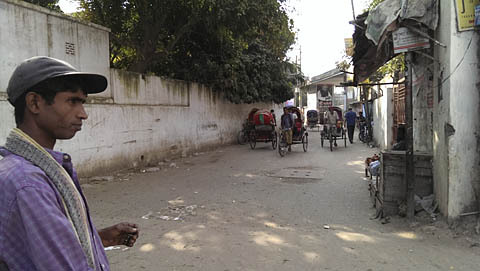 Recent data shows that most of the Village Development Committees (VDCs, which manage individual villages) in villages that are converted to municipalities tend to adopt auto-centric development. In most European cities, districts in the city center are being taken back from cars and made carfree. This improves the quality of life for everyone. A common understanding has arisen there that cities have become unlivable because of unrestricted motorized traffic. 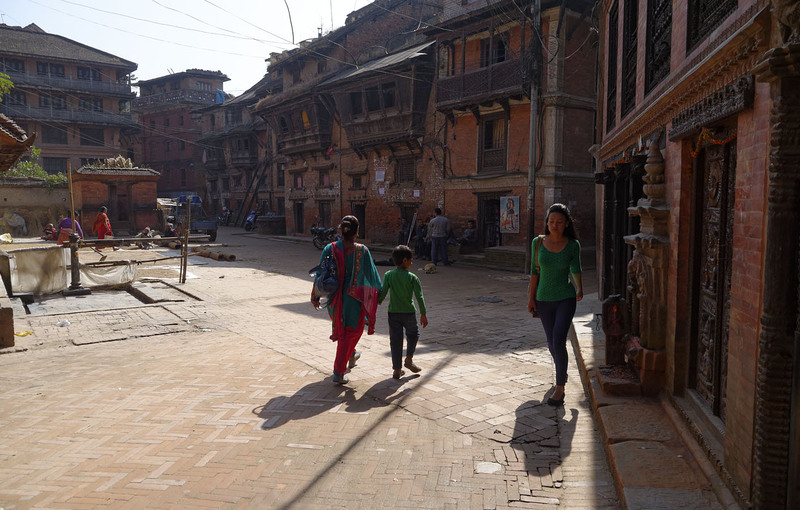 Nepal is a long way away from recognizing this truth despite the already-bad conditions imposed by cars and motorcycles in the larger cities. In the Western context, many villages are in fact suburbs of large cities, which only came to exist in large numbers following the rise of the American car culture about a century ago. In contrast, the villages of Nepal are based on strong local culture and organic settlement forms that emerged over many centuries. 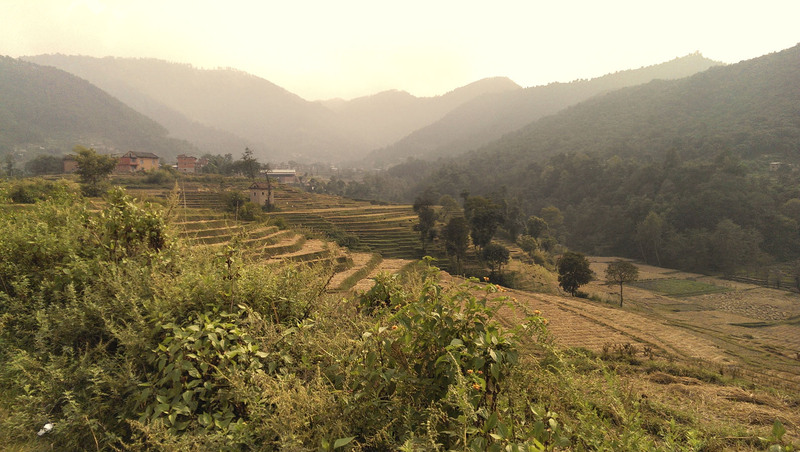 Nepali villages are traditionally self-sufficient settlements. However, the exposure to national and international markets is gradually making them resemble suburbs, and the global culture of consumerism now has large influences, to the cost of traditional culture. 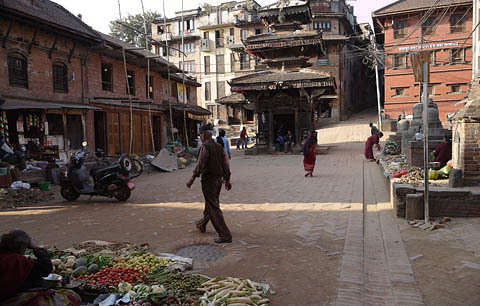 Modern, large concrete buildings rising in the middle of a traditional village near Changu Narayan. 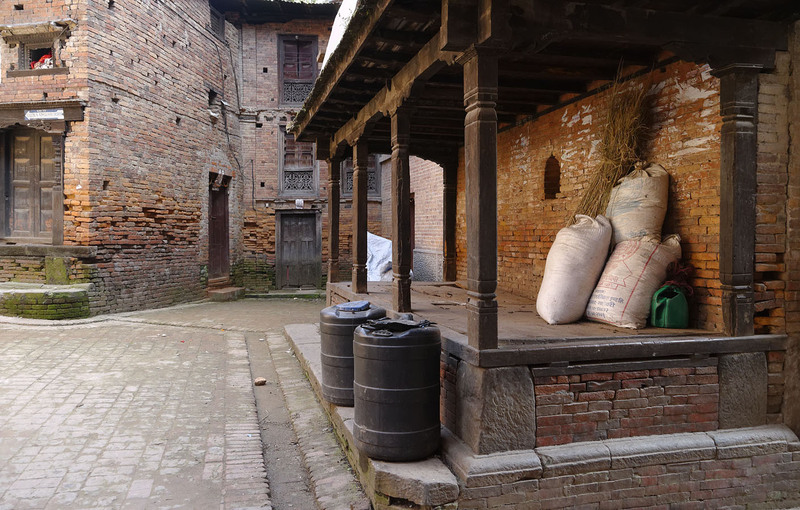 Many argue that village life is better than city life by virtue of cleaner air and water, scenic beauty, the peaceful environment, and healthy, locally-grown food. However, village life is rather uniform and somewhat limited in its scope. 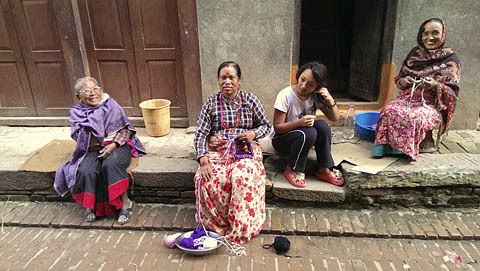 Villagers enjoy the bonds of family solidarity, but there are also tight social constraints. 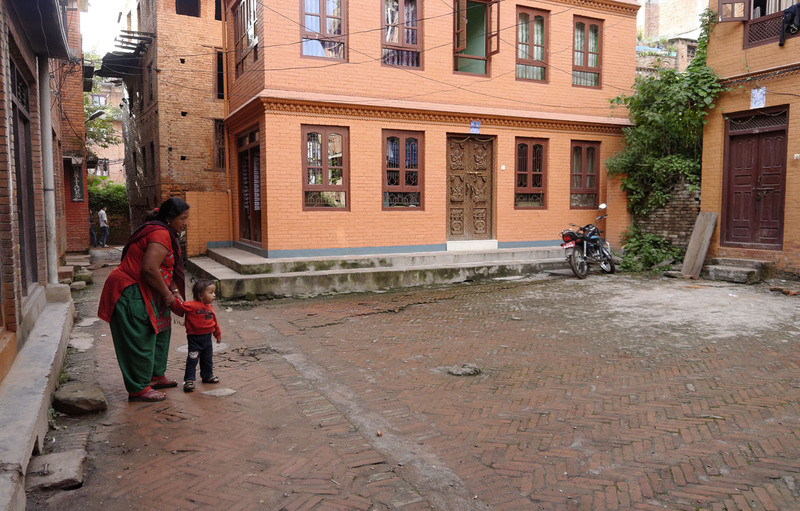 In a village, people know their surroundings intimately and also know their neighbors well. This tends to lead to a great spirit of cooperation. Roads are safer for walking and cycling because there is little motorized traffic. Life is simple, and money plays a small role in day-to-day life. 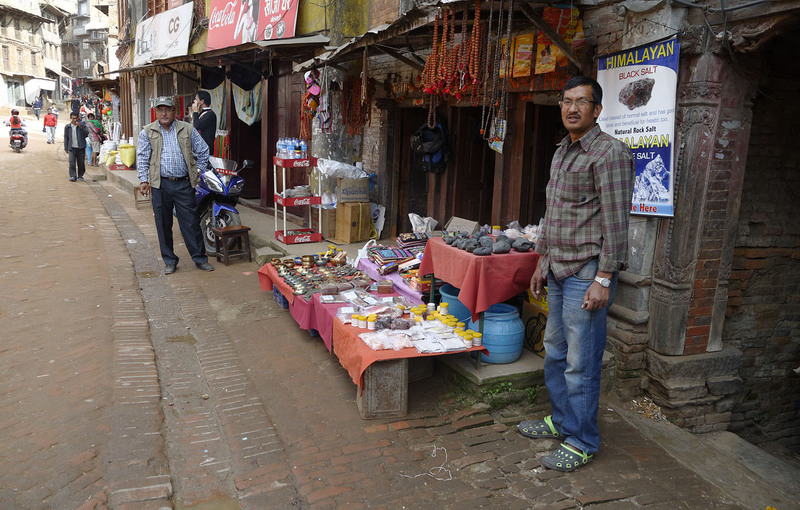 Shopkeepers and customers in a village are neighbors, so the quality of goods must meet local expectations. Village life is close to nature, but modern medical care is usually distant, with the result that villagers tend to use traditional medicines and practices. The basic necessities in rural villages are mostly of local origin, whereas in cities these necessities usually come from a considerable distance. Furthermore, the expectation of enjoying international standards of living among city dwellers requires the import of many goods. In the urban areas, most people are strangers, so in order to show high status, people want to show off expensive goods. In villages, the life is much cheaper. The rise of consumerism and the influence of modern international values tends to encourage people to adopt consumerism similar to that in developed nations. 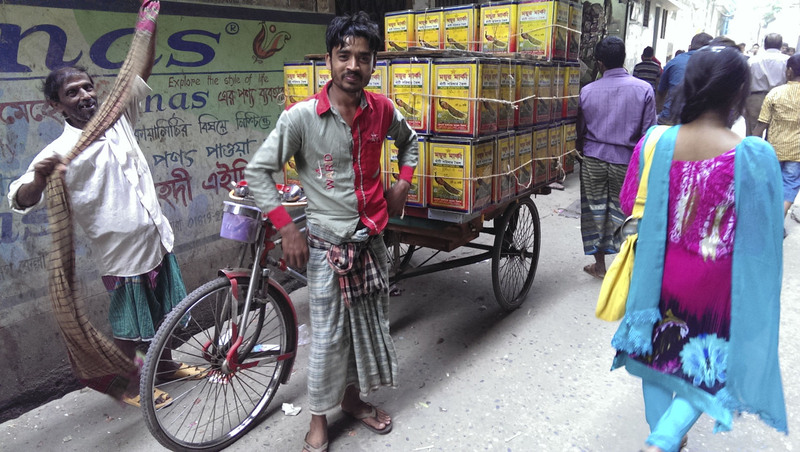 Villages produce local goods for local consumption, so the fulfillment of basic needs requires less transport energy than in cities. 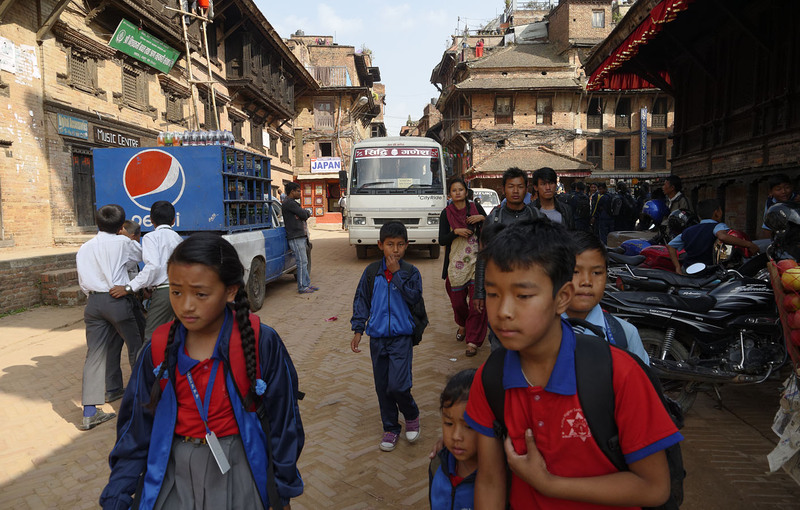 On the other hand, the needs for advanced medical care and higher education require people to travel from the village to the city, which involves its own energy costs. Still, their total energy consumption is probably less than that of their counterparts in large cities. In terms of consumption, villages in Nepal tend to be more sustainable than cities. Local foods are mostly not packaged, so packaging waste is far less than for the processed foods often consumed in cities. Most consumer products are reused or repaired, which produces less waste. In cities, the wide availability of products also makes it convenient to buy new products rather than repair existing ones. 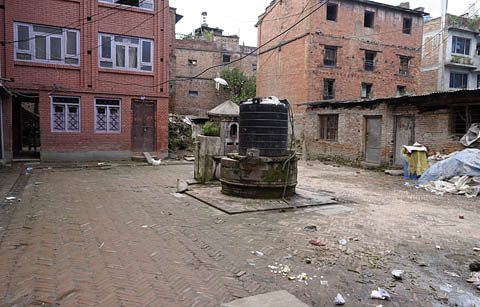 Villages in Nepal still use very little energy because electricity and bottled gas are not available in many villages. Water is supplied from mostly local sources. 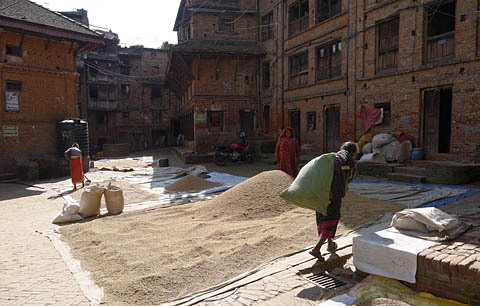 Most villagers are farmers and compost their waste products for application to their fields. 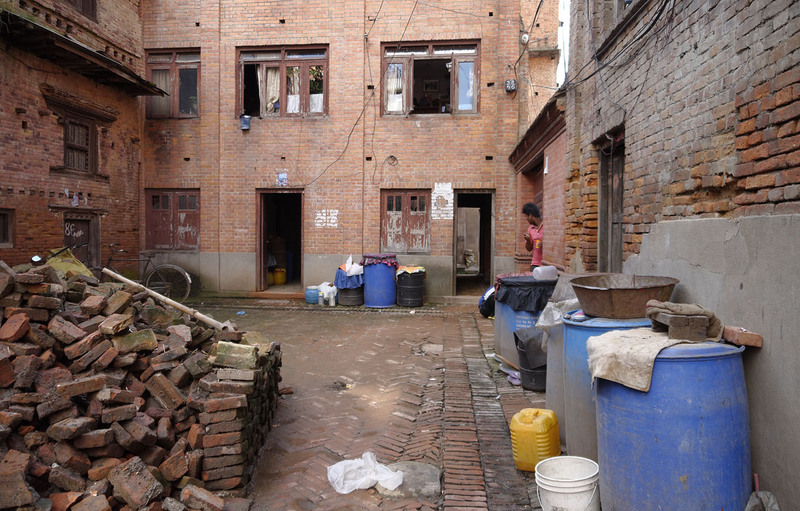 So the remote villages are highly sustainable in terms of waste management, energy, water supply, and drainage. Villages do use petroleum to power buses and motorcycles, and sometimes the distances people have to travel are quite considerable. 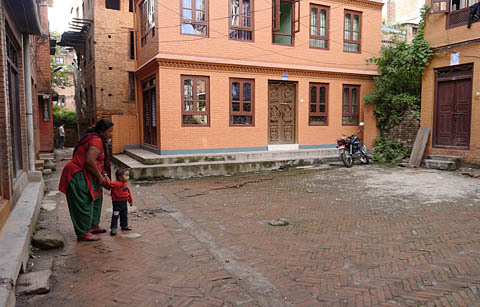 Disadvantages such as poor transport, inferior education, and limited medical care may be in part offset by the use of motorcycles, but they harm the peace and safety of the village, especially if many families have motorbikes. 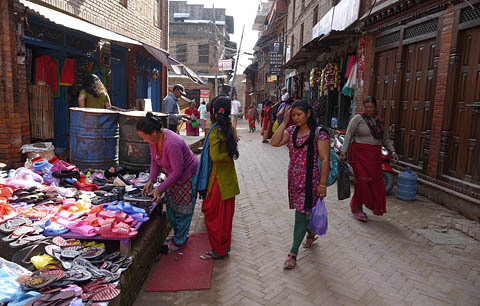 Nepal is the least urbanized nation in South Asia but has the highest rate of urbanization. 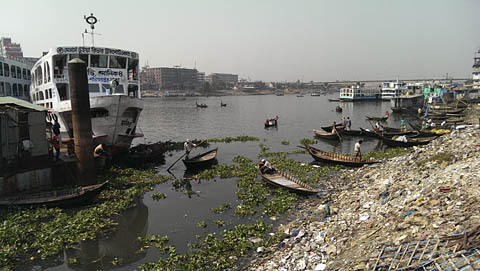 This poses serious challenges to municipal authorities, as they have relatively little experience with urban planning at a time when demand for urban expansion is exceptionally high. 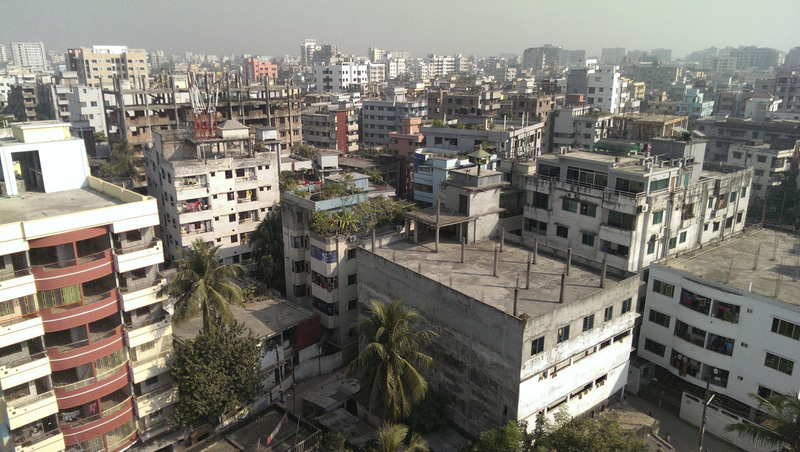 This explosive urbanization affects even some small towns. 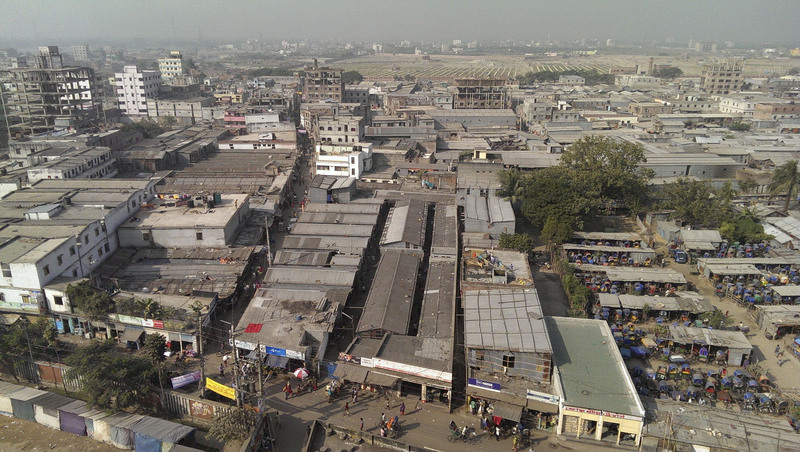 Thus, villages and towns are losing their essence because of modern development practices, unchecked motorization, large shopping centers, and unregulated industries. 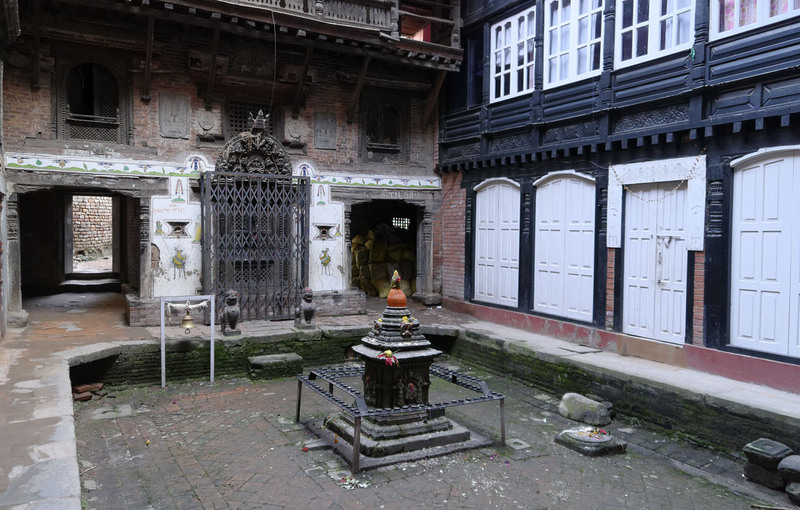 The Newari people are almost exclusively urban, and nearly all towns and cities in upland Nepal are of Newari origin. From medieval times, the Newaris respected town planning concepts based on ecology and conservation of resources, including land itself. 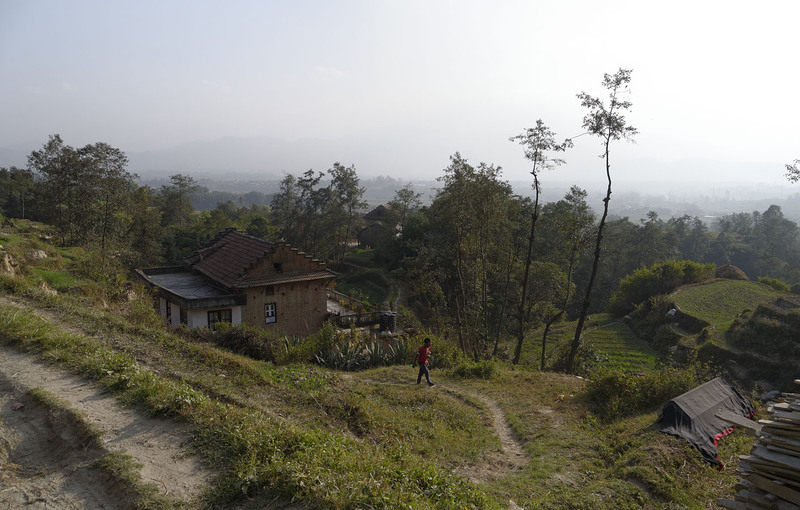 Towns were established on the highest available land, with the fields at lower elevations. 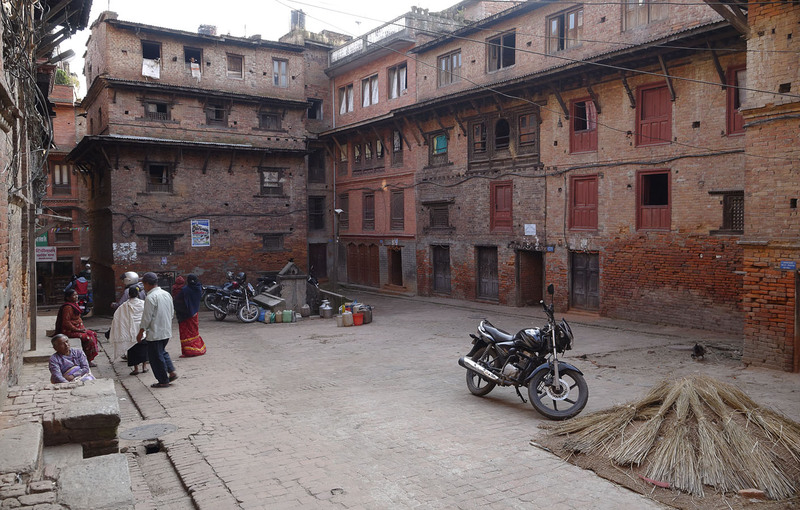 The dense construction of these places gives them a distinctly urban feel even though they may be quite small settlements. This approach also preserves as much land as possible for cultivation. Natural areas surround most of these communities, with forests and rivers close by. The higher elevation protected the settlements from flooding and attack by outsiders. Examples of Newari settlements are Kathmandu, Bhaktapur, Kirtipur, and Lalitpur. 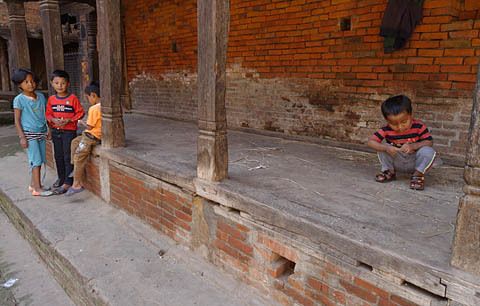 Most other ethnic groups have traditionally lived in isolated settlements with a dispersed pattern of habitation and a distinctly rural character. 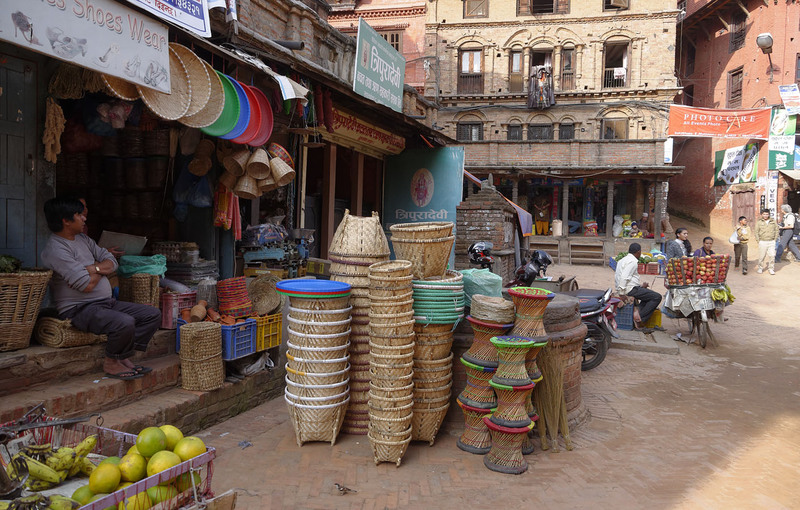 Newaris traditionally carry goods on a shoulder pole. 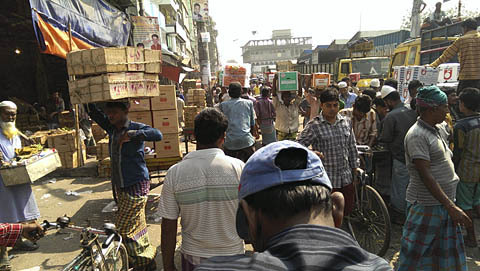 Most business owners in villages are intermediaries who manage the difficult freight transport situation, which increases the costs to farmers. 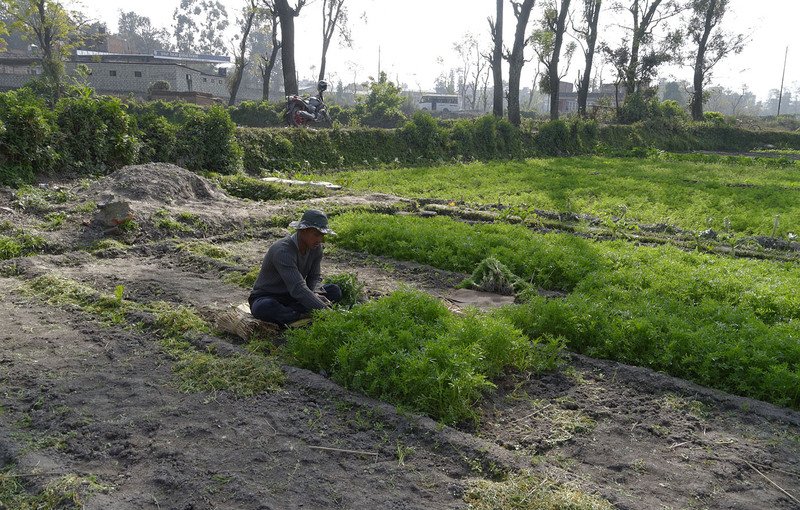 In some cases, farmers themselves will bring their produce to the city, even if the product quantity is very low and considerable amounts of time and money are lost in the travelling. This creates inefficiency and further reduces profit because the farmers are often not adept at selling and lack knowledge of local market conditions. Historically, villages grew organically over the centuries, and their development was governed at the most local level and with little influence from the money economy. 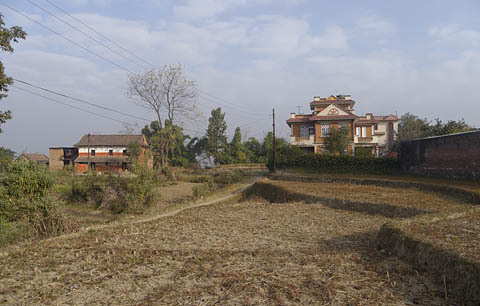 In recent times, the settlement areas have either been near farmlands, which requires roads for transport of the harvest, or they have located along roads, which provide inherent transport access. 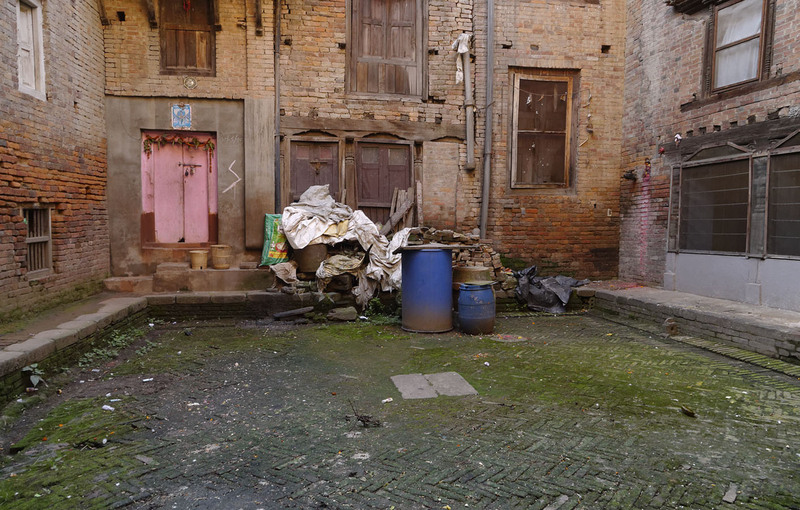 In either case, most settlements in rural areas are heavily exposed to the noise, dust, pollution, and danger from vehicular traffic. Dust especially is a large problem where roads are made of dirt, as vehicles raise clouds of dust during the long dry season. These roads might never be asphalted, as Nepal already struggles to support its 60,000 km road network. 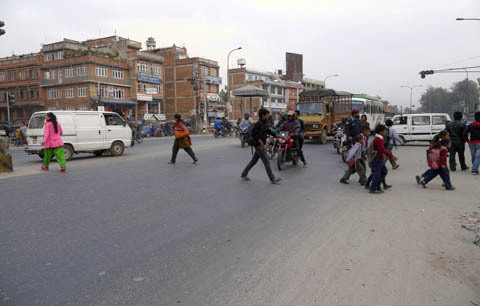 In the comparatively unusual case that a road is asphalted, vehicle speeds rise considerably, with a consequent increase in fatal collisions between vehicles and pedestrians or bicyclists. With the land near the roads having the best commercial exposure, many people are pushed away from the road to make room for road-front businesses. Few local people understand the consequences of living near heavy traffic, and they must be informed of the risks. Today, they lobby the municipality and sacrifice their land in order to bring roads in front of their houses because of the financial benefits of road-front locations. 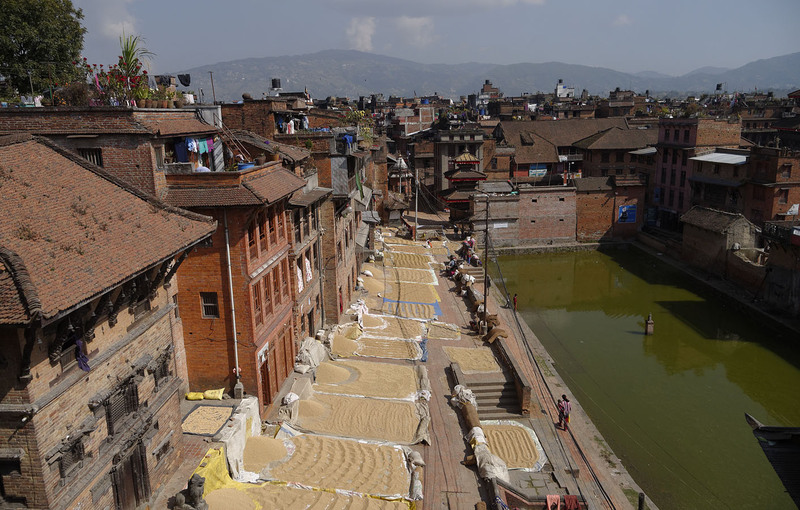 Villages were always organized at human scale and based on human labor. Recently, however, villages are moving to motor scale, which makes a village a much less attractive place to live. This further increases the urban migration, often as a simple matter of survival. If there were a better understanding and awareness of the benefits of human scale, the pressure for migration would probably decline. 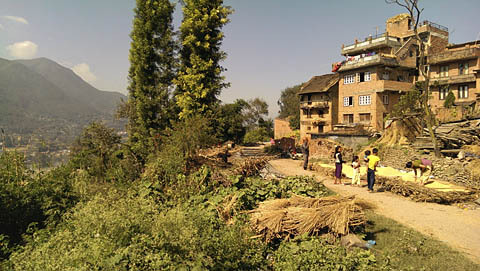 This would, however, require bringing some of the benefits of city life to the rural areas of Nepal. This is difficult, but it must become a national priority if the explosive growth of large cities is to be reduced to levels that the cities can manage without degrading their quality of life. It is difficult to imagine any kind of public transport serving rural villages that is not provided by bus. The needs of bus travelers seem poorly understood by both the government and bus operators. The simple application of the usual "origin and destination surveys" would provide insight into the route system that is needed. The usual operation of slow, overcrowded, poorly maintained buses needs to be addressed by government authorities. 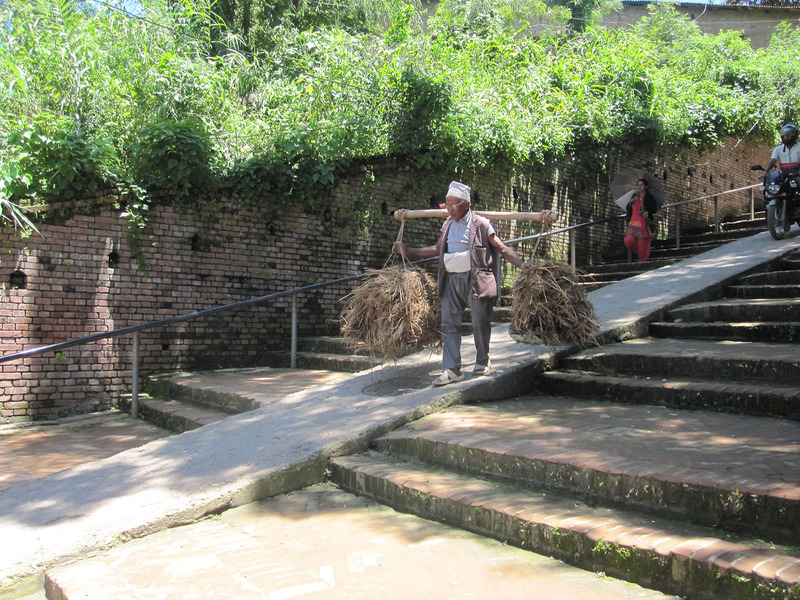 The first mechanized transport used to move goods from lowland Nepal to the uplands actually consisted of ropeways (funiculars). In some circumstances, it may be an efficient alternative to building roads, but the economics will be challenging in sparsely settled areas. 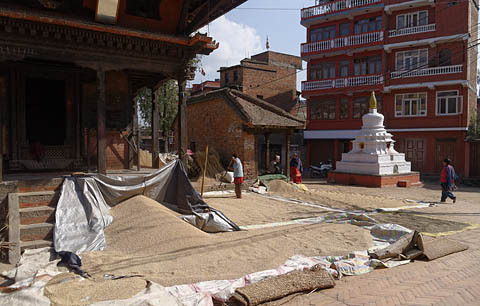 In the mountainous regions, road construction is extremely expensive even for simple one-lane dirt roads that are often washed away during the monsoon. The Department of Roads is already concerned that it is unable to maintain the road network, much of which was constructed on an ad-hoc basis and not to any engineering standard. These substandard roads are difficult to maintain, and few of them can be traversed during the mud season. All of this makes the transport of agriculture products to market a challenging problem. Given that most villages are moving towards motorized transport and its related patterns of development, the concept of sustainable carfree village design becomes essential if villages are to remain sustainable places with a high quality of life. 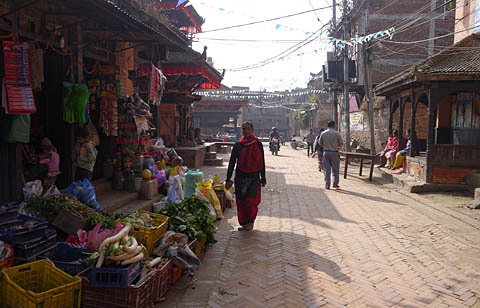 Good development of carfree villages could also reduce urban migration. 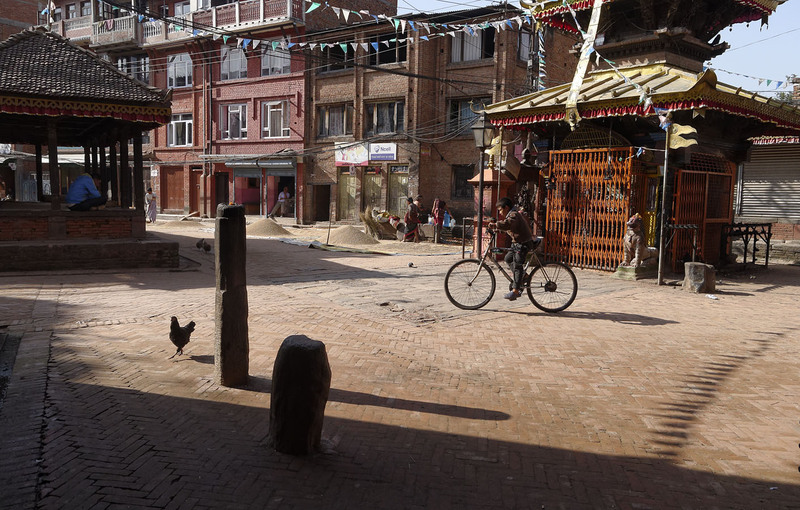 If carfree villages are not implemented soon, then they will be overwhelmed by vehicle-centric design, coupled with all the associated damage to the quality of life. It will also further accelerate social and economic inequality. Schematic drawing of the four types of rural villages with respect to roads. Clockwise from top left: road passing through, road running adjacent, road passing near, road terminating at village. Red indicates the commercial and transport area of the village. Improving economic conditions is more difficult in the first case, especially for communities more than an hour's walk from a road, of which there are still quite a few. These villages are at least protected from the effects of motorized transport, but their economic prospects will remain poor unless they are connected to the national transport network. Villages traversed by a road, especially if there is much traffic on it, will suffer from declining quality of life. These villages cannot even ban traffic through their village, as other settlements further along the road would not permit it. In this circumstance, the only workable alternative is to transform the situation to the third case. 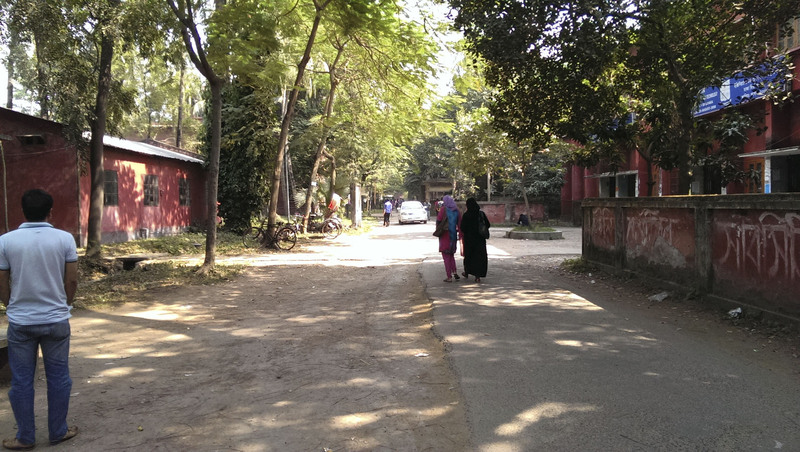 If a village has a road that passes close by but not through the village, its transport situation can be quite good while the impact of transport on the village itself is held to a minimum. 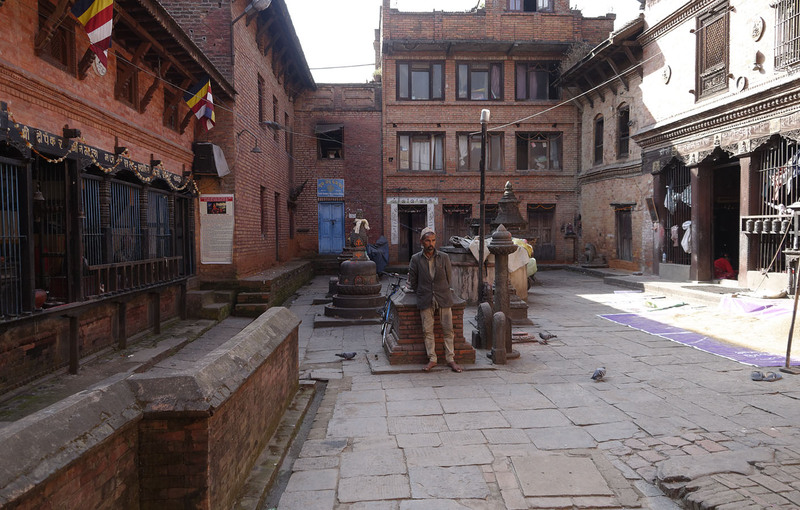 The ideal case is one in which the road passes a few hundred meters away from the settled area, with a short spur leading to a parking area at the edge of the village. Finally, the case of a village located the end of the road is essentially the same as the case of a village located on a short spur. Transport is available at the edge of the village, but traffic would not be allowed into the village itself, holding traffic impacts to a low level. In all cases except those where a road passes through the village, it is a fairly simple matter to reorganize the village as a carfree area. Locals need to agree that all motorized vehicles will be kept out of the built-up area and confined to the adjacent parking area. In this way, a high quality of life can be enjoyed in the village, and the prospects for modest economic growth are quite good. The transport of agricultural surpluses to market is simple to arrange and relatively efficient. A shift to the carfree model makes street space available for small parks, fountains, shops, sidewalk cafés, benches, and so forth. 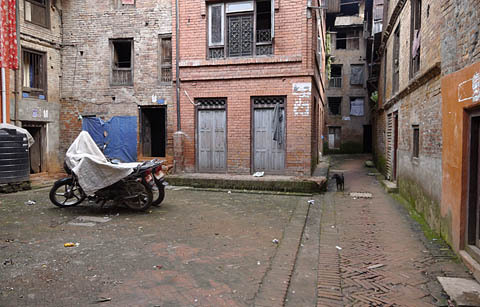 All this depends on finding an effective way to keep motorized vehicles out of the inhabited areas. 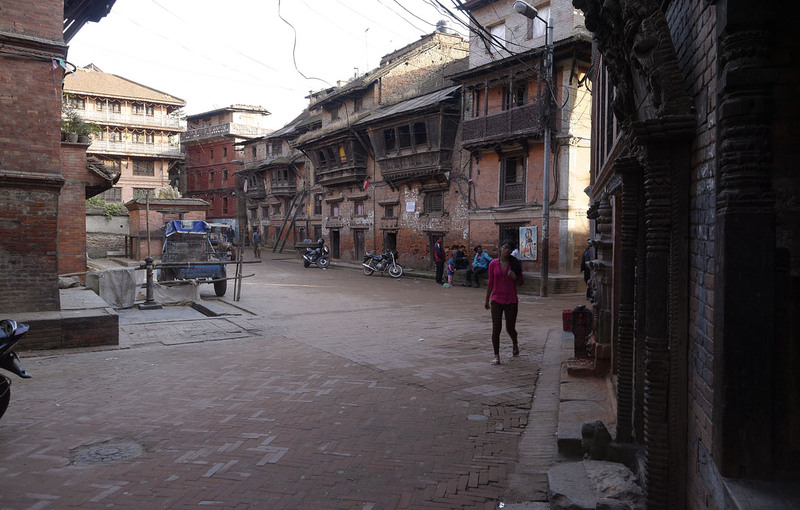 In Nepal, motorcycles will be the greatest challenge, as they can pass through very narrow streets and even negotiate shallow steps. In villages, social enforcement is probably the only effective method. 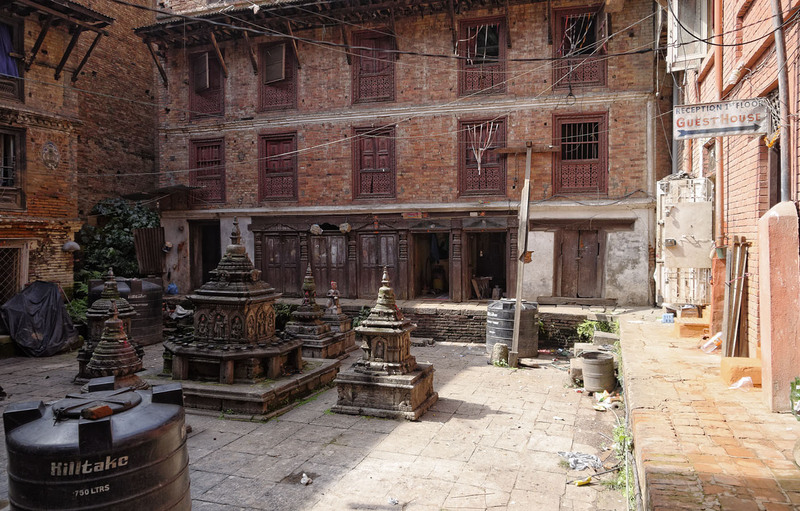 In Nepal, it is customary to bring motorcycles inside the house at night as protection against theft. Motorcycle owners will want a secure parking area at the village edge if they are to feel comfortable leaving their machines outside the house. The recent trend of land parcel assembly by private companies leads to highly unfavorable patterns of development, as their projects invariably involve front-door-access for cars and motorcycles. 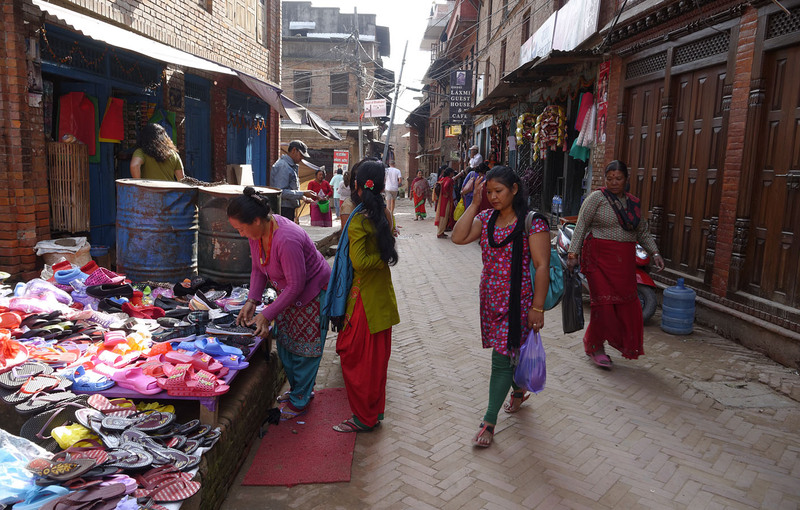 This turns a village into an American-style suburb, and this trend can be seen in many places in the Kathmandu Valley. The Terai is the flat region along the southern border of Nepal. This area was settle only comparatively recently, following the control of mosquito-borne disease. 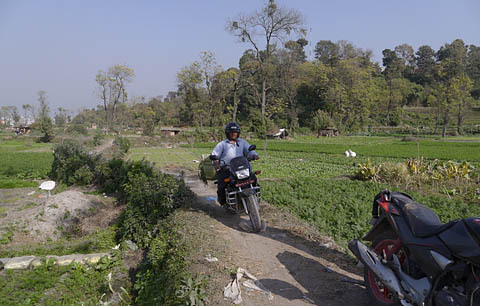 In many of the villages of this area, public transport has yet to arrive, and large numbers of motorcycles have already been bought. In most cases, they have been admitted to the village without much consideration, as most people want them; they are considered the only practical means of transport aside from walking. More and more motorcycles are appearing in villages. 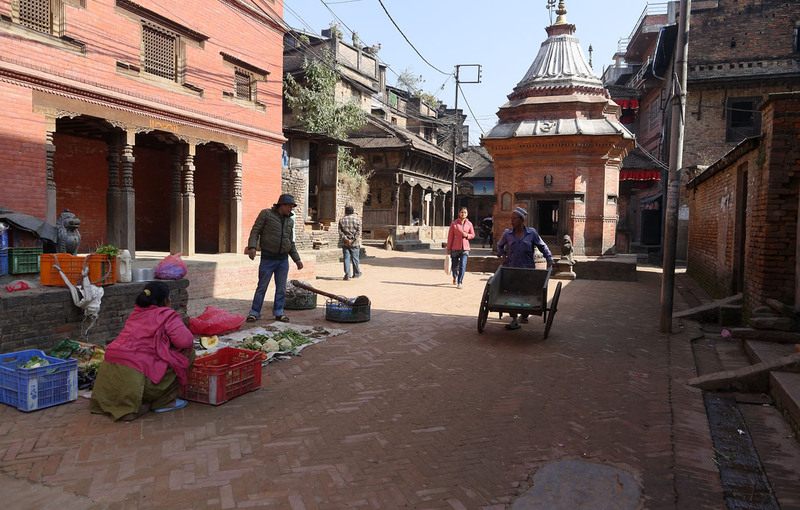 The Terai villages will be more difficult to convert to the carfree model, even if the road does not penetrate the settled area. The settlements in Terai tend to be more scattered. This is in part because the land is flat, unlike in the uplands of Nepal. 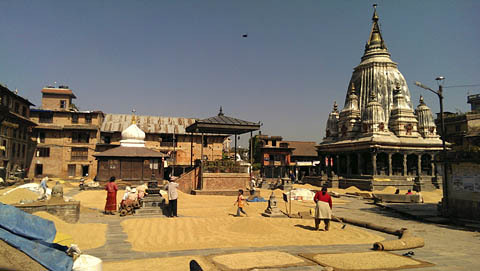 Furthermore, the Terai was not settled by Newaris, so their settlements generally lack the compact arrangements of the Newari cities and towns. Most farms are fairly large, each with its own farmhouse. 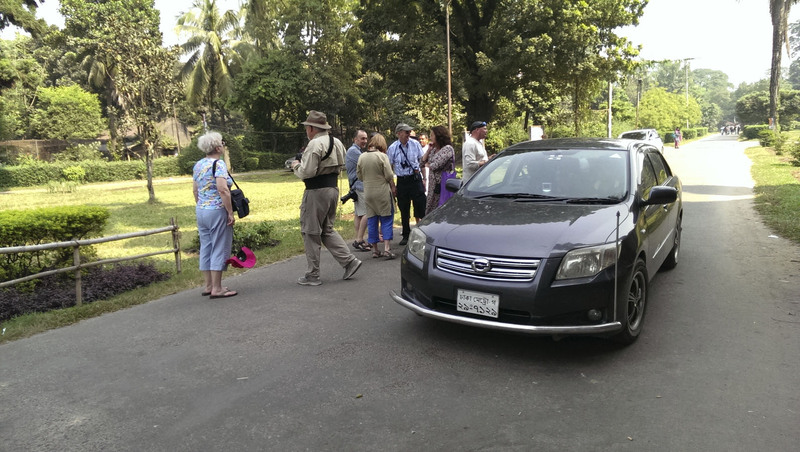 The feasibility of public transport in the Terai is thereby reduced as the low density makes the provision of good service uneconomical. 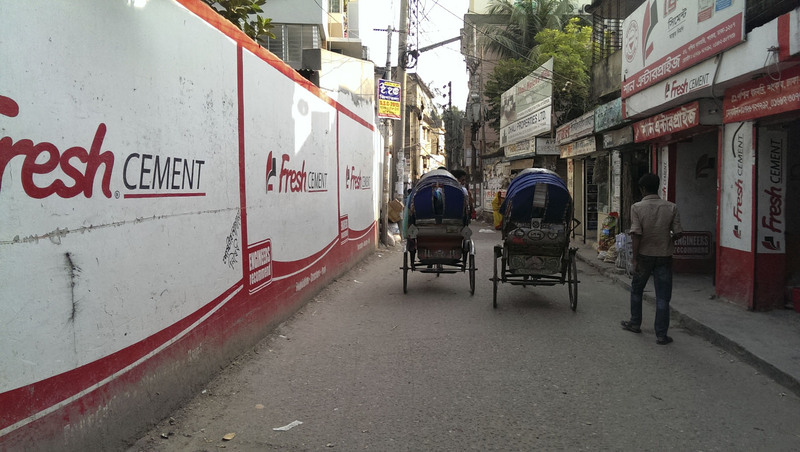 The extremely high temperatures during the hot season in this area are a barrier to non-motorized transport. It is therefore likely that reaching agreement about parking motorcycles at the edge of the village will be difficult. 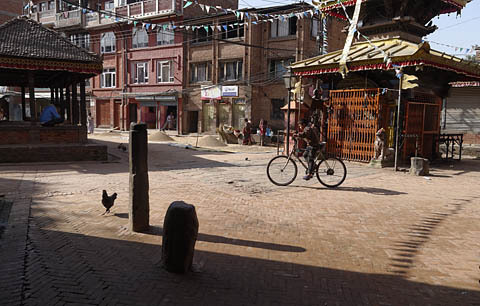 As in other cases, it will be necessary to stress the economic, social, health, and aesthetic costs of allowing motorcycles into the village. How can the relatively well developed theory of carfree cities be extended to small cities, towns, and villages? What, in fact, marks the transition from a small city to a large one? For our purposes, the distinction is easy. If the city is small enough to walk across in less than about 20 minutes, it may be considered small. If some form of mechanized internal transport is required by virtue of long walking distances, it may be considered large. The matter of large cities has long been taken up at Carfree.com and in Carfree Cities by J.H. Crawford and will not be repeated here. However, the walkable districts proposed in Carfree Cities and further described in Crawford's Carfree Design Manual can be the basis for carfree village design. 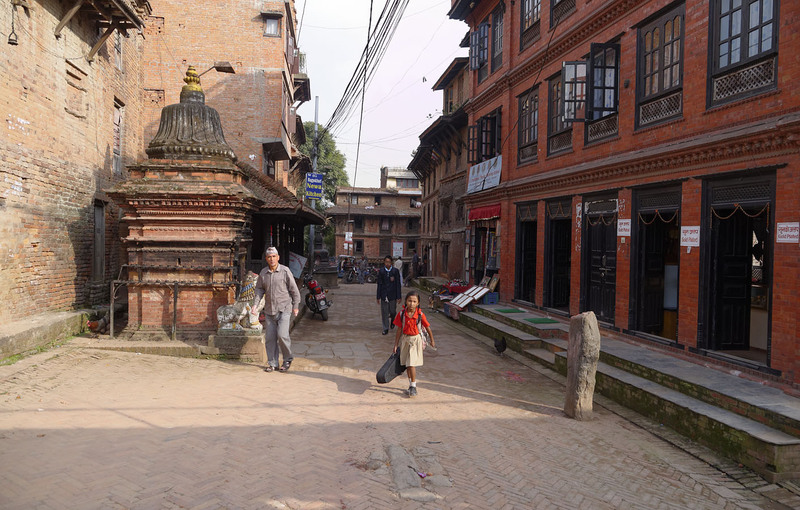 The one significant change is that vehicles are brought up to the edge of the village, rather than being kept in parking garages at a distance of several kilometers. The designs proposed in Crawford's work presume the presence of a transport halt at the center of the district. In the case of villages, it may not be sensible to centralize the most important functions but rather to locate them close to the village parking area. The decision will be affected by local circumstances. A further change is that the most desirable density of construction will probably be lower than the four stories proposed in Carfree Cities. 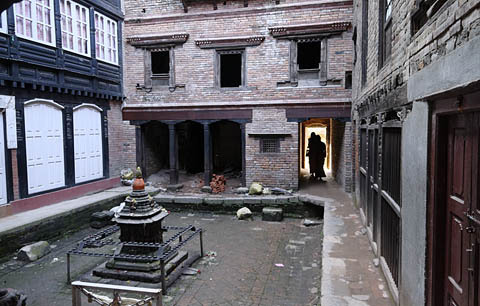 As little as two stories can actually be sufficient, although the addition of an inhabited roof is usually desirable, which counts as "two-and-a-half" stories. 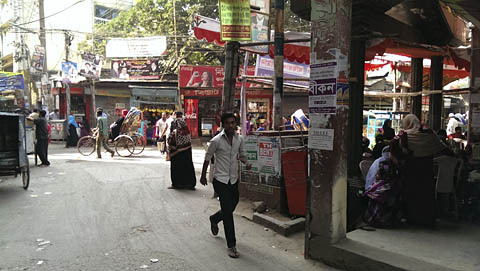 One other significant difference is that the districts in a carfree city are adjacent to one another, but carfree villages will be separated by a distance of kilometers. It will be a natural pattern for carfree villages to be linked fairly directly by road to the center of the region, as this is where specialized goods and services will be available. Finally, we come to the possibility of building entirely new villages based on the carfree model. 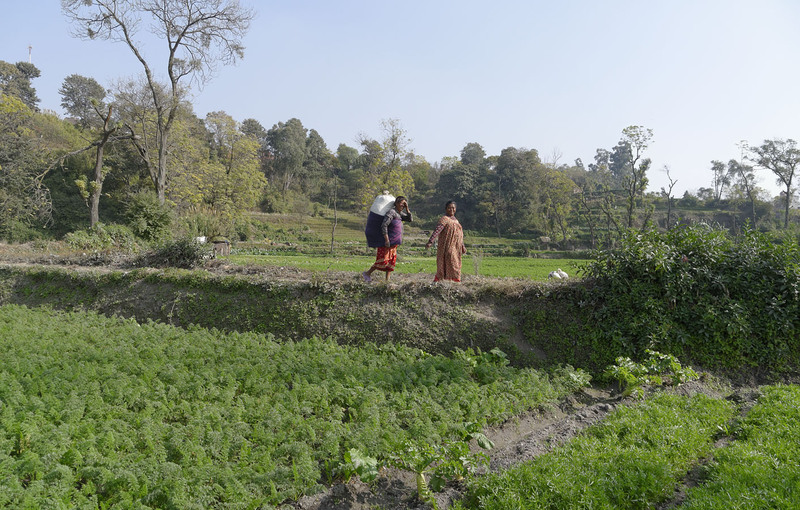 In most cases this will not be necessary, as village population is generally not increasing, but in the case of regions where new land can be brought into cultivation, it will be necessary to build a nearby village for the farmers. These villages might follow quite directly the methods proposed in Carfree Design Manual for the design of carfree urban villages. This method is based on the limited use of experts and the intensive input of future residents to design the area they will soon inhabit. This is a highly participatory and democratic process that should establish a sound social foundation for the emerging village. In other cases, developers may buy land within commuting distance of a city and attempt to build an entirely new village according to some central plan, with little or no input from the local people or those who might move into the village. Such a development is neither organic nor democratic, but may nevertheless occur. In the months ahead, we will continue to build a strategy for carfree towns and villages in Nepal. The lessons learned should be quite directly applicable to villages throughout the developing world. Given the massive movement of people to cities, few new villages should be needed. If, however, the quality of life in regions distant from a nation's major cities is to be improved, it will be necessary to develop regional cities with populations ranging from 100,000 to 1,000,000 where specialized education and medical care are available. These cities, if built anew, can follow quite directly the principles established in J.H. Crawford's work. If this is done, then these cities should themselves be attractive enough to deter some people from seeking their fortune in the megacities that are fast becoming unmanageable. Ed. 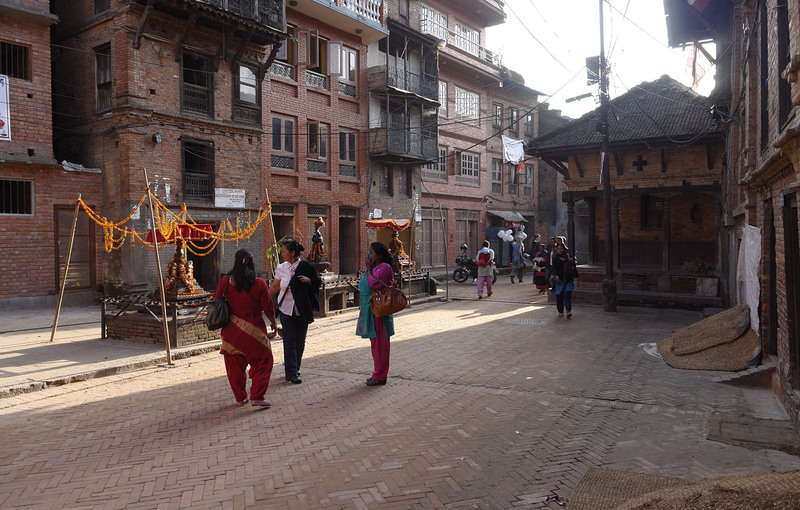 Note: Relocating to Bhaktapur made it possible to resume serious development of the knowledge regarding carfree life. 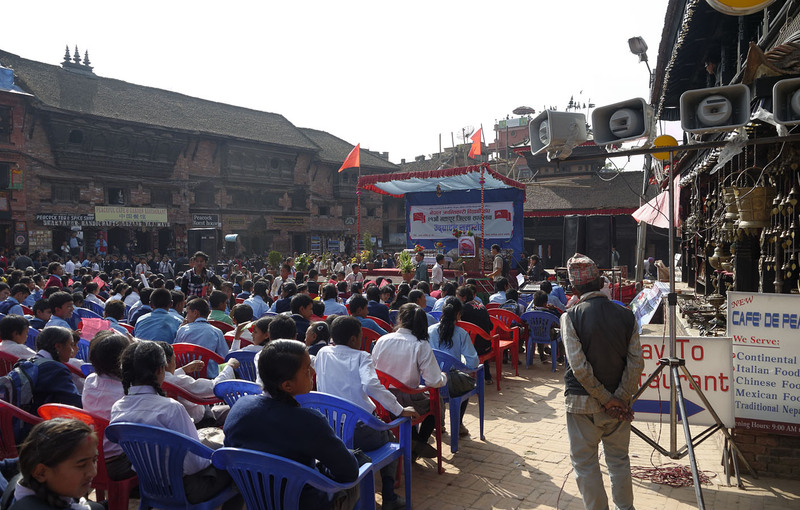 Bhaktapur is surrounded by candidates for carfree conversion. We will continue to develop this work and publish it here in the years ahead. Thanks to Debra Efroymson, Piper Hollier, Richard Risemberg, and Doug Salzmann for suggesting articles. Thanks to Bansidhar Sainju for production assistance. Thanks also to Piper Hollier for proofreading. "At This Rate, The World Will Have To Cease All Carbon Emissions In 2040 To Stay Under 2°C"
"New York City Mayor Unveils Plan To Reduce Carbon Emissions By 80 Percent"
"U.S. Taxpayers Are Gouged on Mass Transit Costs"
"Down With Sustainable Development! Long Live Convivial Degrowth!" "What France Can Teach U.S. Cities About Transit Design"
"Car-free KL [Kuala Lumpur, Malaysia] once a month"
"Need to Promote Walking, Cycling in Cities: Venkaiah Naidu"
"In Venezuelan capital, a 'plague' of motorcycles"
"Should we lower the speed limit?" "New Report Shows Mounting Evidence of Millennials' Shift Away from Driving"
"France falls out of love with the car"
"Road deaths and serious injuries rise as experts fear safety cuts are to blame"
"What It Would Really Take to Reverse Climate Change"
"Six Myths About Climate Change that Liberals Rarely Question"
"How climate change will impact South Asia - latest IPCC report"
"New Study Details Alarming Acceleration In Sea Level Rise"
"Newly-Released Study Underestimates The 'Worst-Case Scenario' For Sea Level Rise"
"Global warming has doubled risk of harsh winters in Eurasia, research finds"
"Confirmed: California Aquifers Contaminated With Billions Of Gallons of Fracking Wastewater"
"Methane Leaks Wipe Out Any Climate Benefit Of Fracking, Satellite Observations Confirm"
"Drilling Deeper: New Report Casts Doubt on Fracking Production Numbers"
"EU agrees to cut emissions by 40% by 2030"
"Carbon Fee Bill Introduced in the Senate"
"India air pollution 'cutting crop yields by almost half' "
"Study: Children exposed to high levels of pollution five times more likely to have ADHD"
Roxanne Warren has written a comprehensive examination of rail and its supporting infrastructure, urban planning, energy, and social effects as they affect cities. 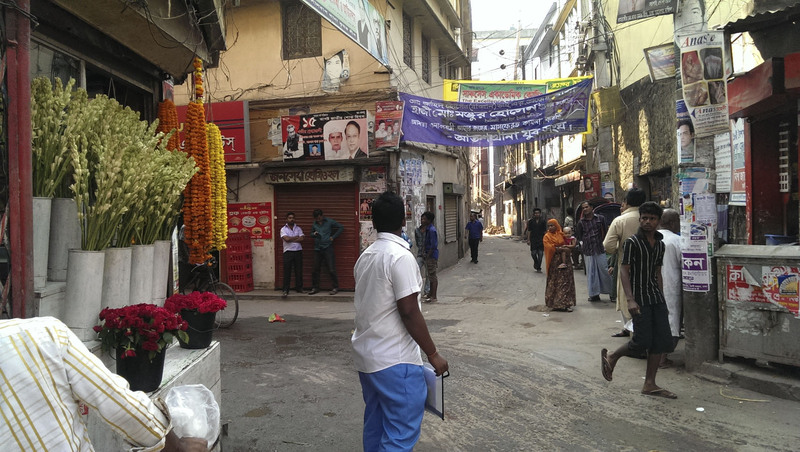 The book does not specifically discuss carfree cities but does refer frequently to pedestrian zones and notes that these have generally been successful in the places where they have been tried. The reader should be aware that this book is written from an American perspective despite making widespread use of examples from around the world, especially Europe. Warren laments that much of the rest of the world is rapidly following the American model, with dire effects to be expected and, indeed, already being seen. Warren makes no bones about the origins of the current American dilemma: the problems arose because of decisions made in the mid-20th century that deliberately supported the motorization of the USA. The economic impacts of these decisions are considered in a modern context. The destruction of America's extensive streetcar network is deplored. Much consideration is given to the dispersed patterns of settlement that have been routinely applied across almost all of the USA. She is one of comparatively few writers who understand the dramatic effects of devoting so much land to parking and highways. In fact, parking and its relationship to transit-oriented development get a full chapter. "Free" parking dramatically increases the costs of real estate development and prices most new construction out of reach of the middle class. Americans are willing to walk only pathetically short distances. It seems that 500 feet (150 meters, two minutes) is about as far as most Americans are willing to walk; only 20% will walk 1000 feet (300 meters, four minutes). The difficulty of serving dispersed areas with public transport is considered realistically, and it is seen that bicycles are an essential part of fixing transport in the USA. She sees no way to correct the problems in US cities without radically changing infrastructure funding to favor public transport modes. She is quick to point out how real estate values rise in areas served by rail systems. The chapter that considers rail as a transit choice is central to the book and appropriately long. It begins with a history of passenger rail service in the USA. Warren then turns to the unique advantages of rail systems for high-capacity service. This includes a consideration of the aesthetic impacts of rail as compared to other modes. Bus Rapid Transit is considered, and its shortcoming are discussed, including its greater land take as compared to higher-capacity rail alternatives. Considerable attention is devoted to the street-running light-rail alternative to buses on the one hand and grade-separated modes on the other hand. This is a realistic discussion, not one written by a devotee of metro systems, which are in most cases too expensive for cities that might want them. She also considers the extraordinary metro-building programs in large Chinese cities. These are being built despite the current Chinese turn away from bicycles towards private cars, which she views as unsustainable. There is a discussion of high-speed rail (HSR), particularly in the context of a replacement for short-haul commercial aviation. I used to share Warren's enthusiasm for HSR, and it is indeed a remarkable technology, but I have come to think that trains should rarely run much faster than about 125 MPH (200 km/hr). There are a number of reasons I believe this, but cost and energy consumption are chief among them. The way to reduce flying is not to speed up rail but to adequately and fairly tax carbon emissions from all modes. There is also a good discussion of automated urban rail systems, and, again, a realistic assessment of their suitability, capacity, land take, and cost. The point is made that capital costs may be very high, but operating costs are much reduced, and considerable operational flexibility is gained, to the benefit of the rider. So-called Personal Rapid Transit gets a very harsh look, which accords with my own assessment of its practicality. Most important, perhaps, is that she does not lose sight of the importance of the relationship between the street and an elevated guideway. It is for this reason that she applauds the decision in many smaller French cities to deploy human-operated, street-running light rail systems. These can, as she points out, be made to operate without the expensive and unsightly catenary systems normally used to provide electricity to the vehicles. A chapter is devoted to the matter of accessing rail systems. It is all very well and good to build them, but if they are too difficult or unpleasant to access on foot or by bicycle, they will either be underutilized or the focal point for a flood of cars bringing riders to the station. The main point is that the land near transit halts is the most valuable in the city and should not be devoted to cars. With park-and-ride, total automotive air pollution is reduced only slightly. This point has been lost on many transit operators in the USA. The best means of access is, of course, on foot, and every effort should be turned to making this option the most attractive. The dangers of walking and cycling in the USA receive some much-needed attention. Another reason to pay close attention to transit access is financial. The economic feasibility of transit depends heavily on the ridership, and transit that is quick, pleasant, and easy to access will be used much more than transit that is slow and dangerous to reach. The city of Freiburg, Germany, scores very well on these points, and it recovers 90% of its operating costs from fares, an exceptionally high percentage in Western nations. For a book ostensibly focused on rail, urban planning issues receive a surprising amount of attention. "Complete streets," cycling, and walking all come in for careful consideration. European pedestrian zones also get plenty of attention, although Warren seems to have missed the changes taking place in northern Spain, which are quite wonderful (and the subject of a number of my videos). Bike sharing systems are taken up and even the "backlash" against cycling. The particular issues of electric bikes are also considered in a most sensible light. Small cars are also considered briefly, along with the effects of speed on safety, which actually gets its own chapter. Warren has done her research and discovered the intense early opposition to speeding motorists, which vanished in the wake of whitewashing campaigns by motoring interests. The 20 MPH zone comes in for considerable discussion. 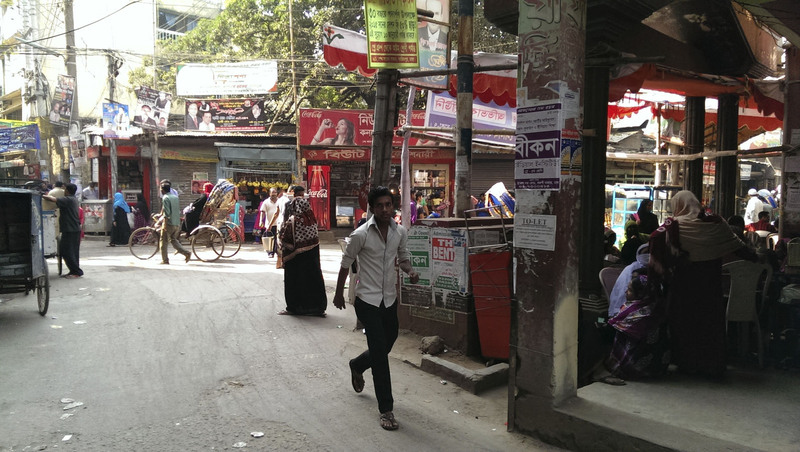 Another chapter is devoted to urban planning for pedestrian- and transit-oriented cities. This is a welcome focus on the need for human-friendly living and working environments. The city of Freiburg is considered in detail, including some revealing photographs of the changes in that city once cars lost their preferential treatment and were relegated to a secondary role in large parts of the city. The carfree Vauban district is examined quite closely. 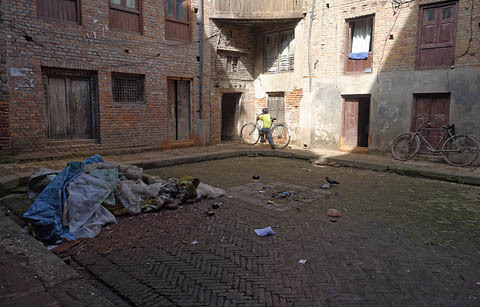 One important point in Vauban was that car parking was unbundled from housing, which strongly discouraged car ownership, with only about 20% of families now owning a car. It had the further effect of making housing much more affordable for those without a car. The importance of involving future residents early in the process is stressed. The issue of gentrification is also addressed. In the American context, the feasibility of taking streets back from cars gets some much-needed attention. It seems that this can be accomplished for surprisingly small amounts of money, and that the change can save neighborhoods in steep decline. One of the troubling footnotes in history, the failure of most of the 200 pedestrian malls established in the USA around 1970, is taken up at length. 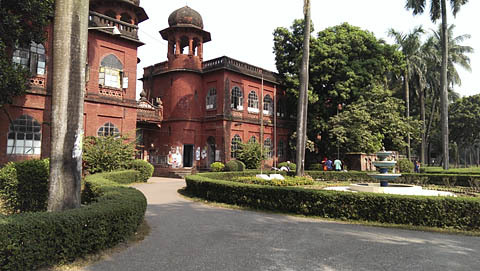 The few survivors, however, are central attractions in their cities. New York's proposed 42nd street light rail project is taken up at length, as Warren is closely involved in this project. This section is well illustrated and entirely in accordance with my own views of what should be done in Manhattan. The importance of green space is mentioned, using the example of Manhattan's Bryant Park, a gem that was once befouled and unused and now restored to glory. There is a serious error in Chapter 7, one that is all too commonly made. Warren states, "A sustained glut of inexpensive natural gas could actually short-circuit the prospects for new investments in wind and solar power - which have no emissions at all. . ." It is true that these sources produce no day-to-day emissions, but their construction and installation require a great deal of energy, and most of this comes from conventional sources. The fallacy that there is a sort of free lunch with renewables is widely held and a matter that needs serious debunking. There are also secondary costs from these sources, such as bird strikes by windmills, that are rarely taken into account. The remainder of Chapter 7 is a fairly sensible look at long-term energy prospects, including the question of politics and economics. The fuel-vs-food controversy related to corn-based ethanol production is considered. 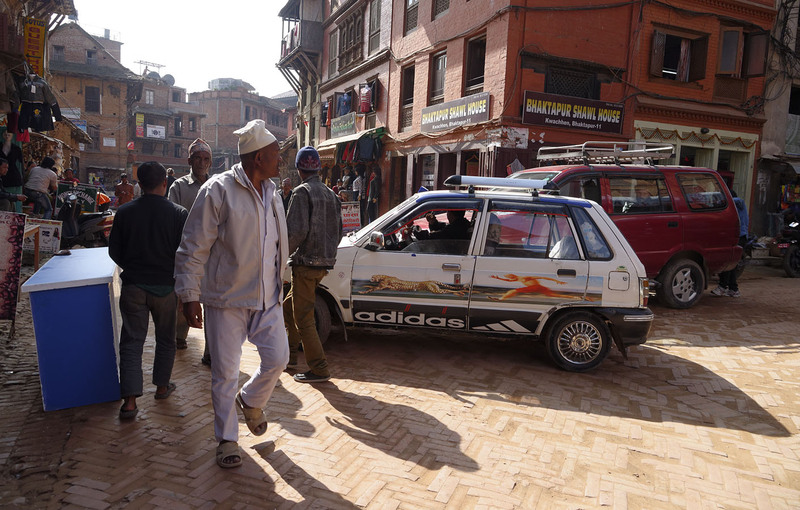 The matter of equitable and effective taxation of vehicle use also comes in for attention. Eliminate free car parking and requirements for minimum amounts of car parking. 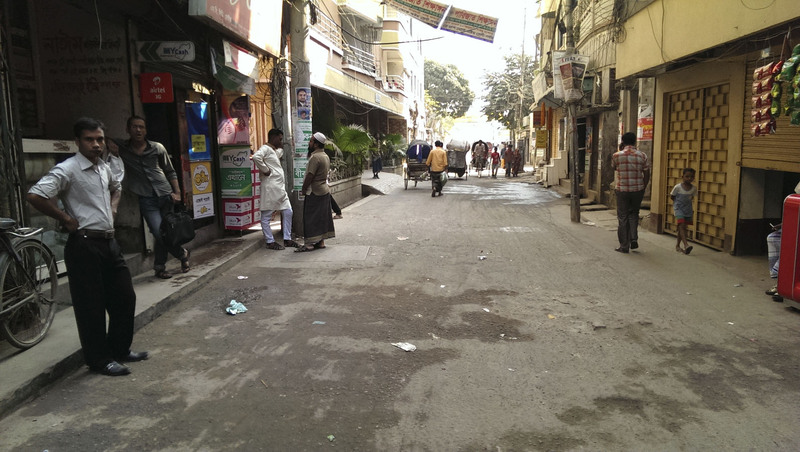 Invert road priorities, giving priority to pedestrians. Develop comprehensive transit networks at all scales from local to national. Develop transit oriented communities within existing urban areas. In short, this is a useful book, especially for people who need a broad oversight of transport issues and climate change. I would, of course, have preferred more emphasis on carfree alternatives, but there is a good deal of it to be found in the book. The writing is straight forward and largely free of jargon. It would be good to put a copy in the hands of local politicians dealing with transit and sustainability issues in your city. There are, as is common today, too many typographic errors, for instance "s[eed" for "speed," an error that should have been caught by simple spell checking. There are a few technical errors with incorrect use of units (watts for watt-hours, for instance), but the book is generally clean and the illustrations serviceable. 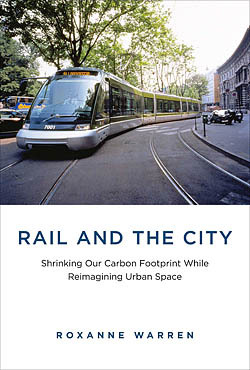 In sum, this book is a very useful overview of the issue of sustainability in cities and the relationships between transit, energy, urban form, and transport priorities. It can usefully be put into the hands of public officials. The next issue of Carfree Times is scheduled for February or March 2015. The views expressed at Carfree.com are those of J.H. Crawford, except for articles, letters, editorials, photographs, and films that carry the names of other authors. The inclusion of these signed texts is at the sole discretion of J.H. Crawford, who does not necessarily agree with the views expressed. All other content, except quoted material, is written by J.H. Crawford or under his direct supervision. E-mail announcements of new issues of Carfree Times are mailed to approximately 800 subscribers. A rough estimate of first-year circulation for each new issue is 5000. All the issues ever published are still being read. Carfree.com as a whole will have served approximately 1.4 million pages and 100 GB of files in 2014.